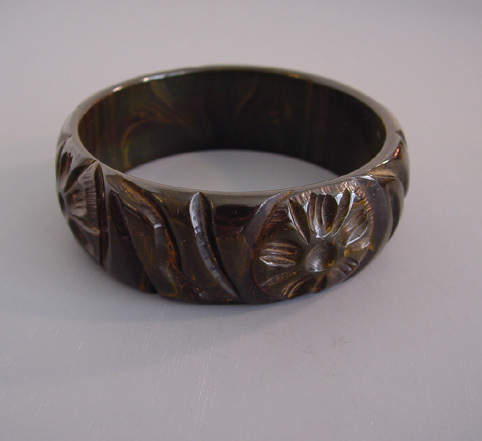 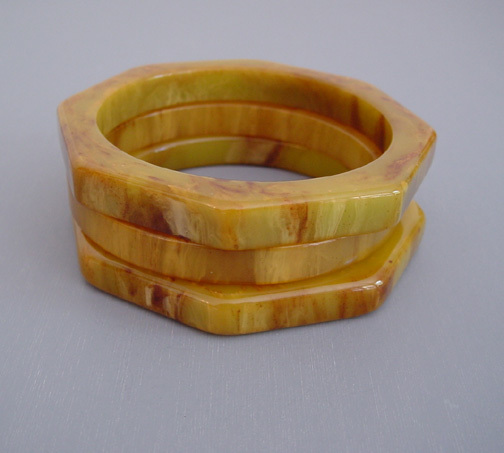 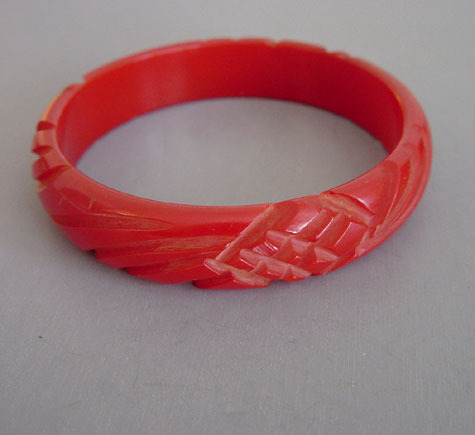 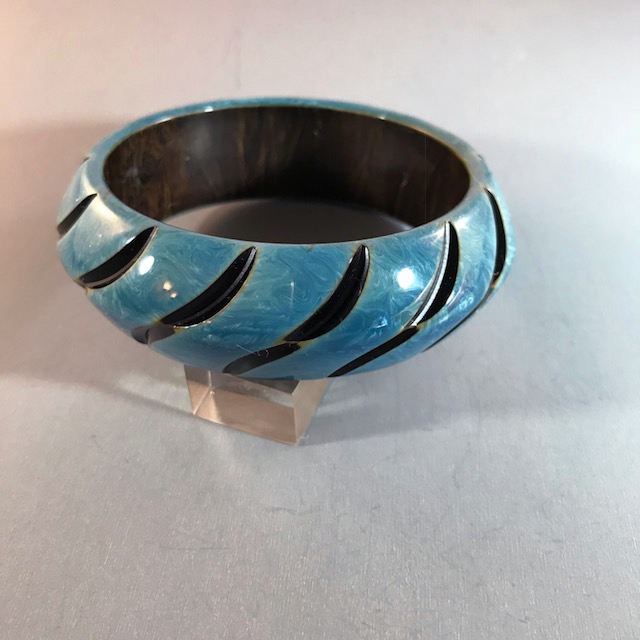 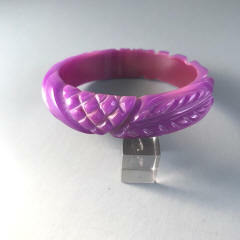 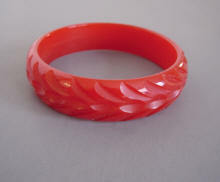 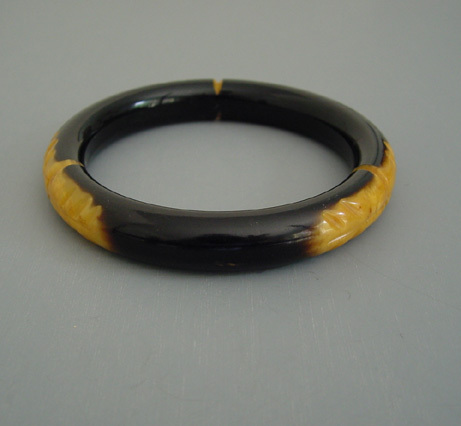 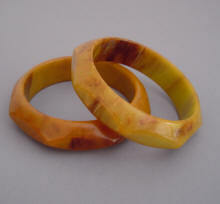 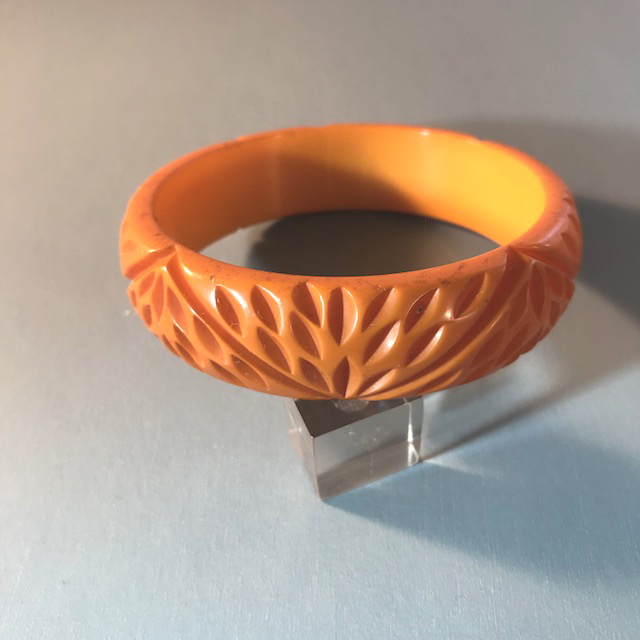 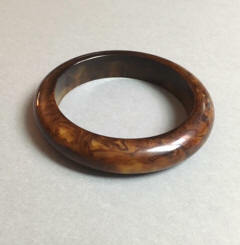 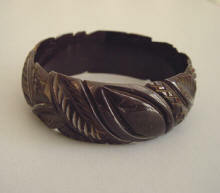 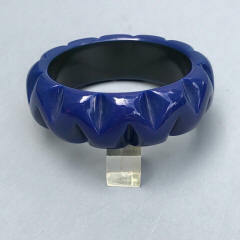 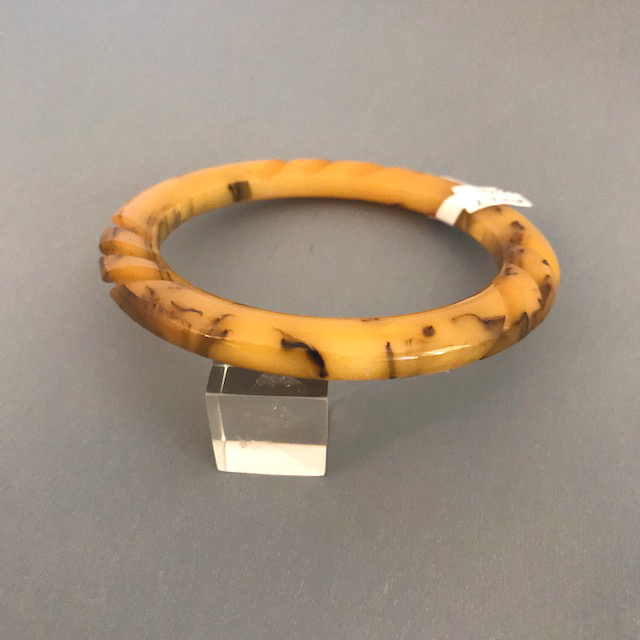 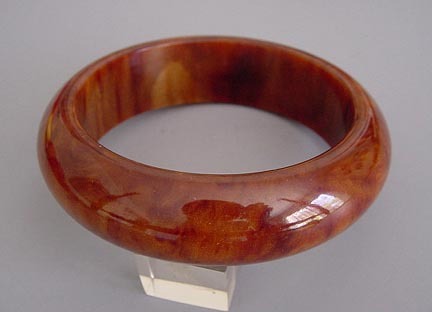 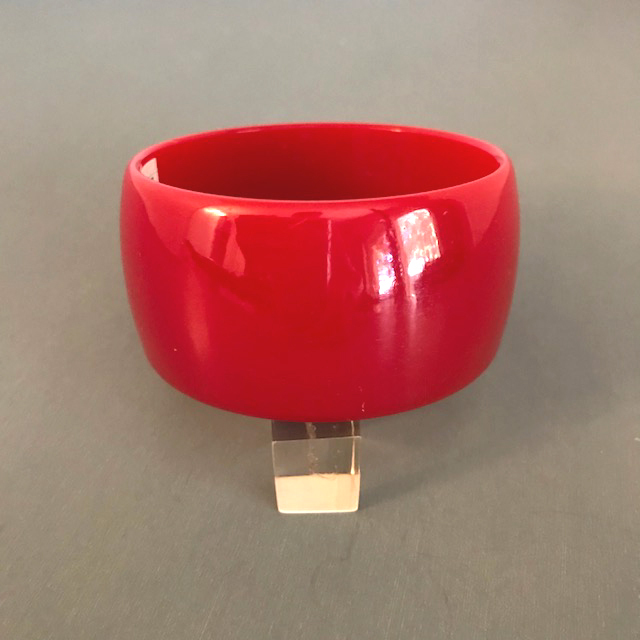 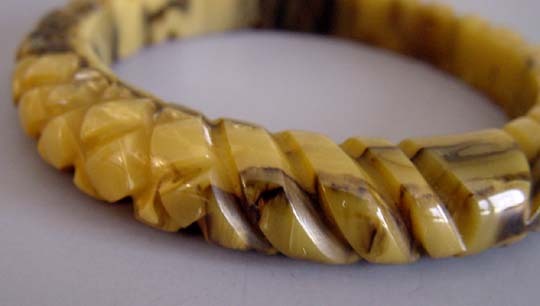 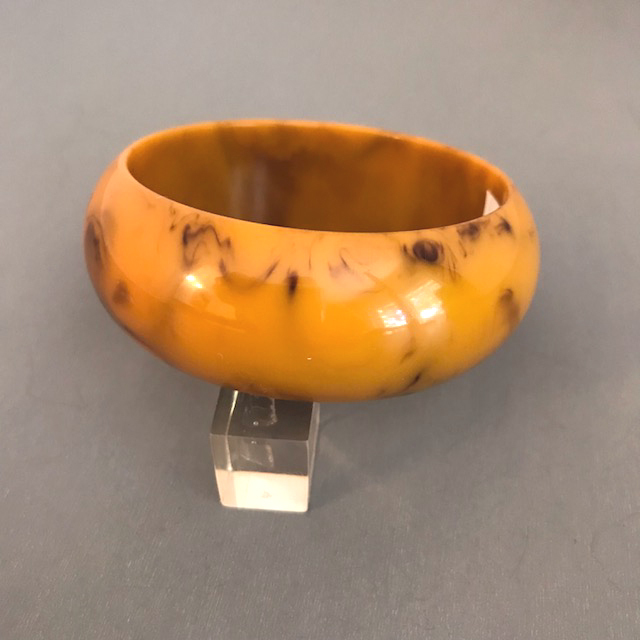 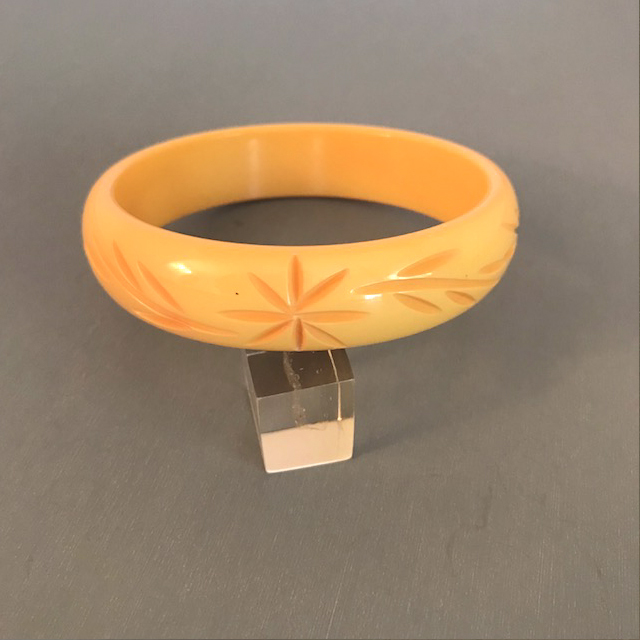 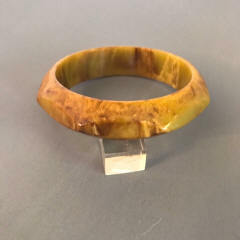 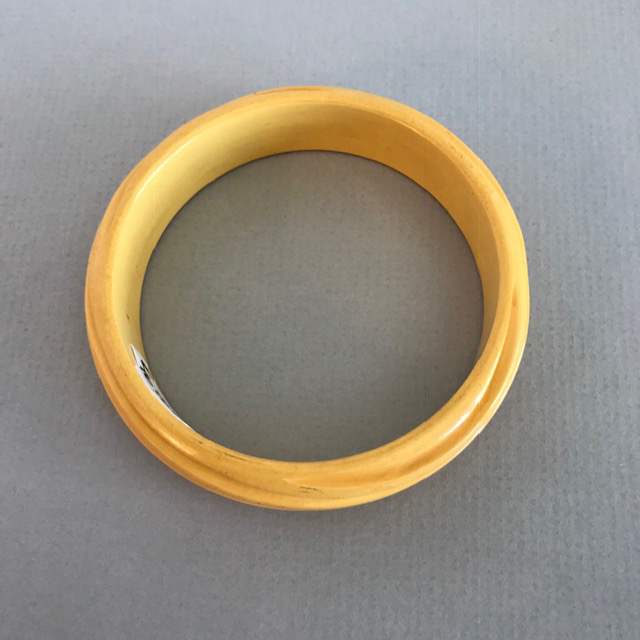 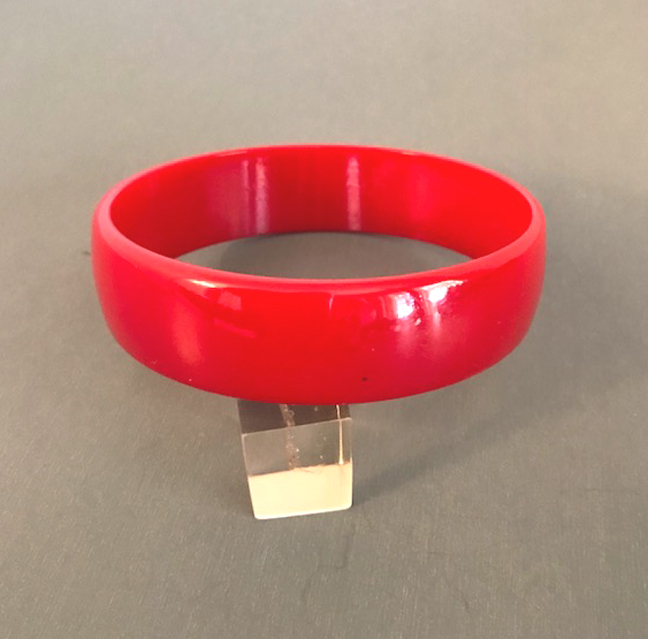 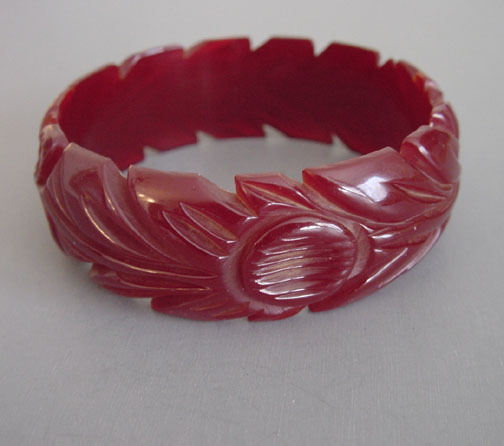 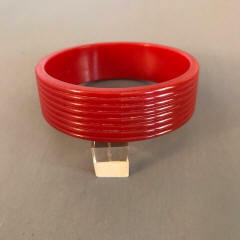 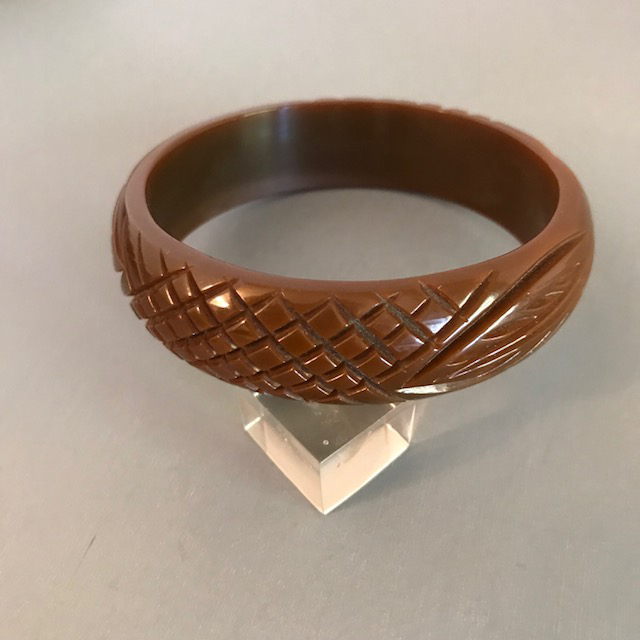 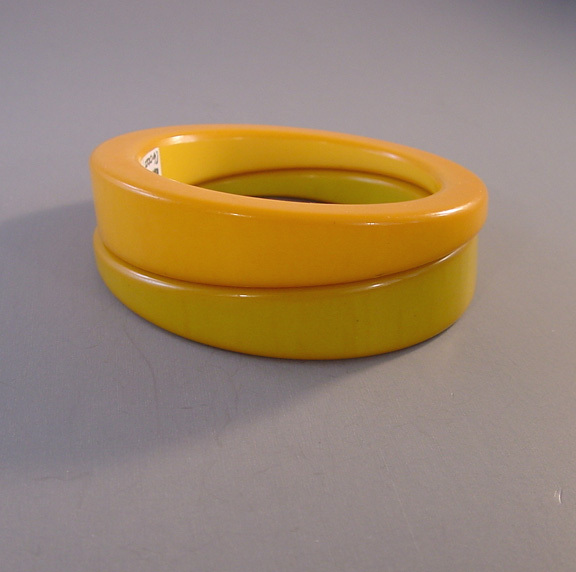 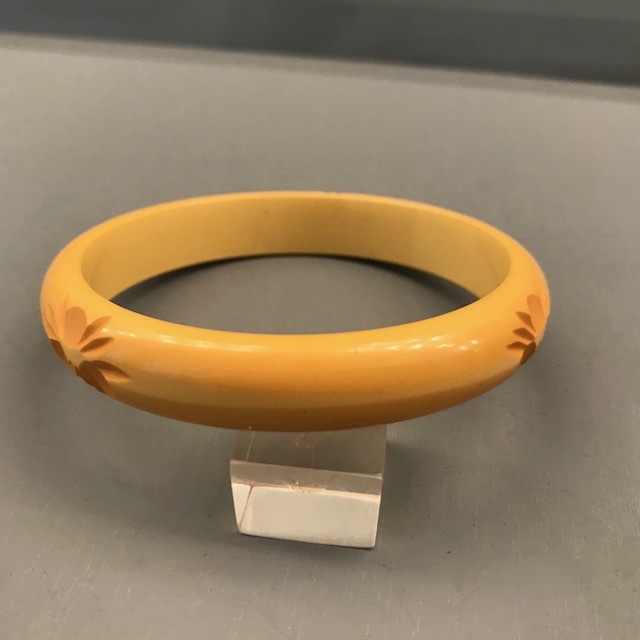 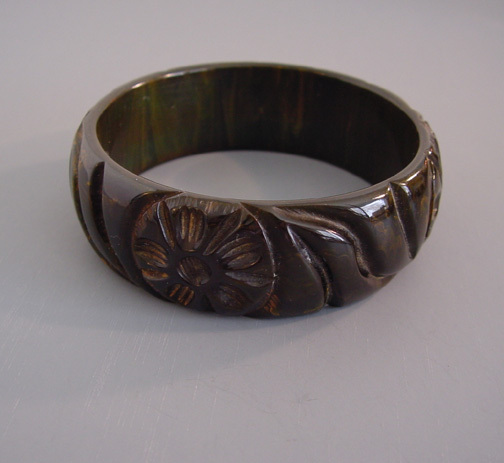 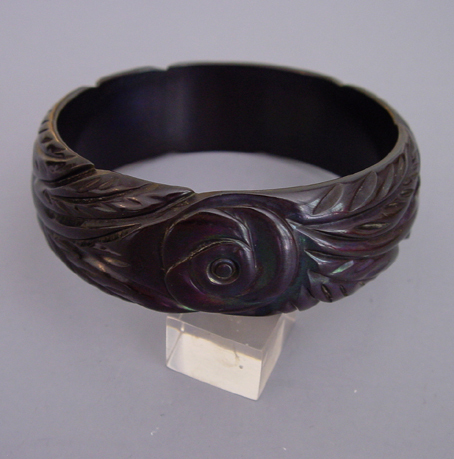 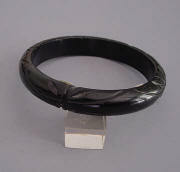 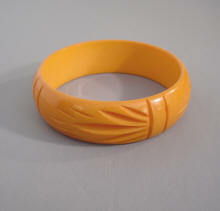 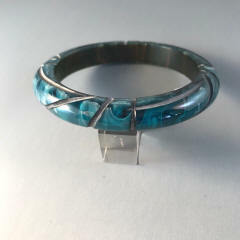 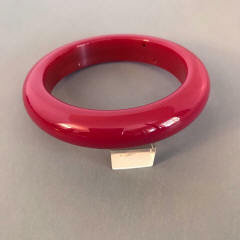 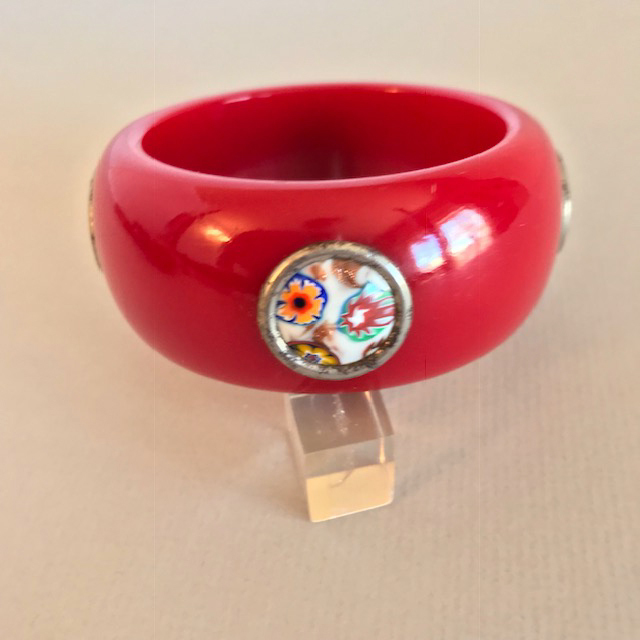 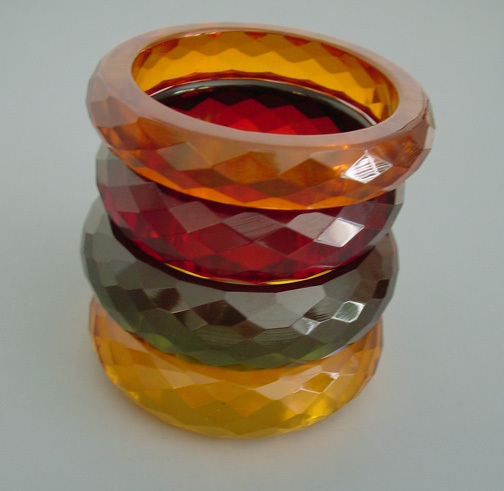 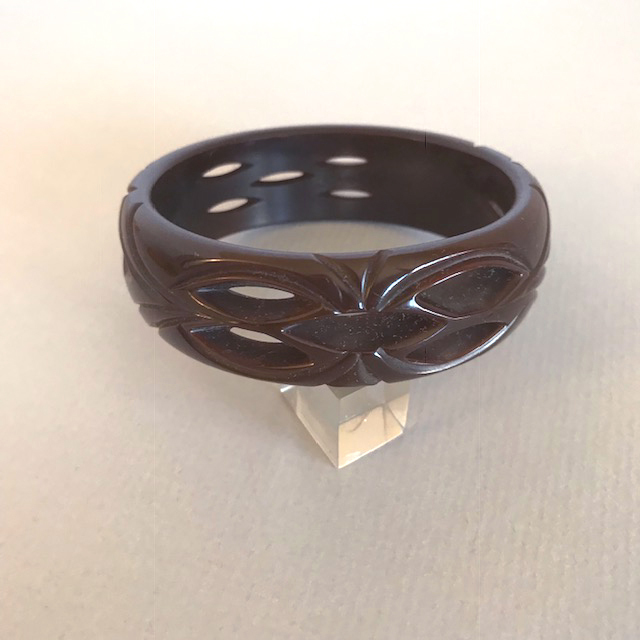 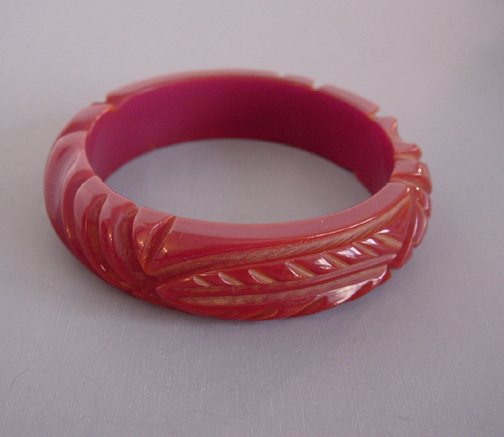 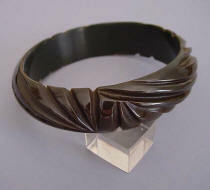 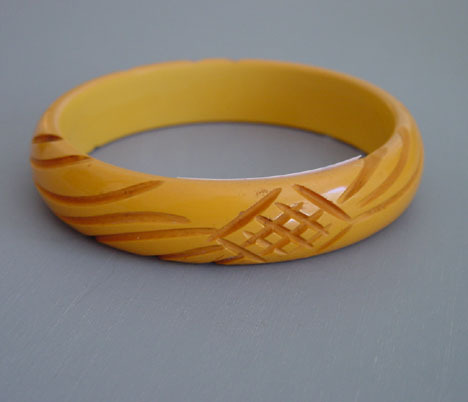 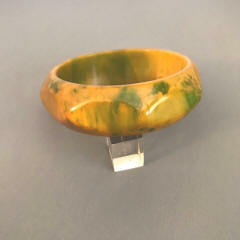 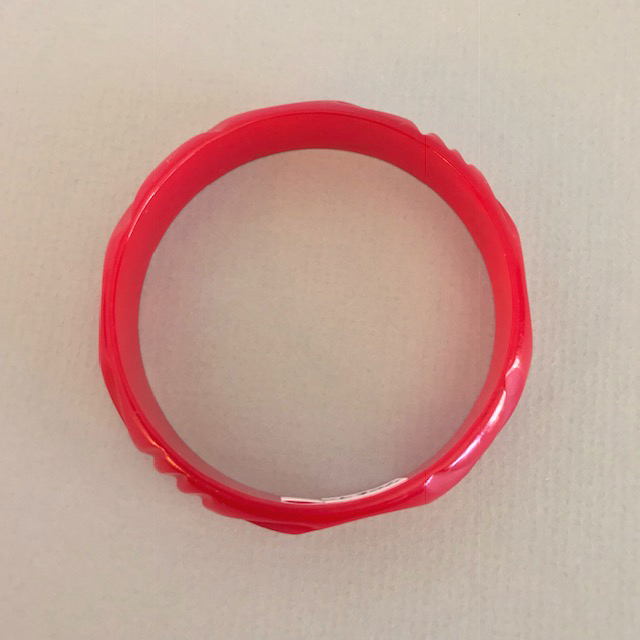 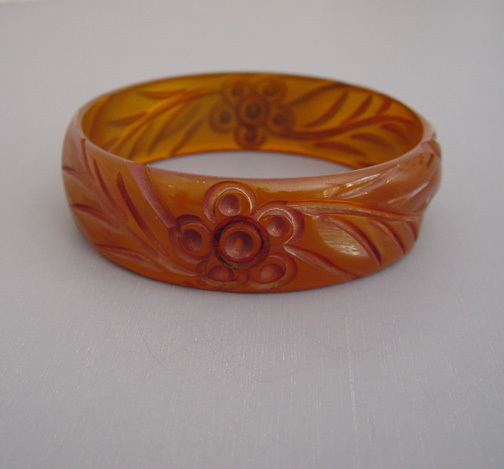 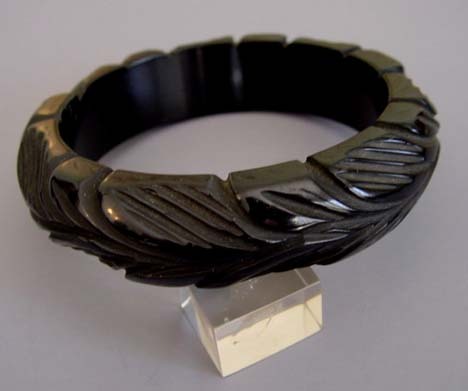 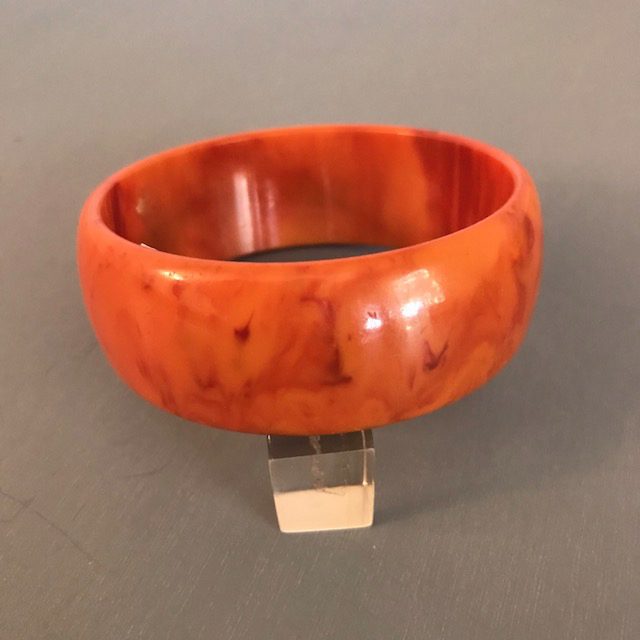 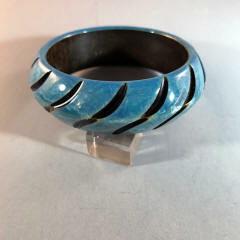 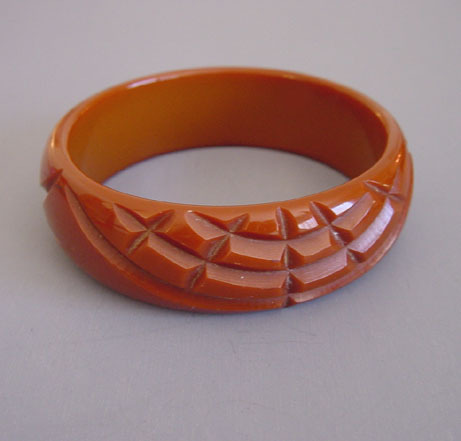 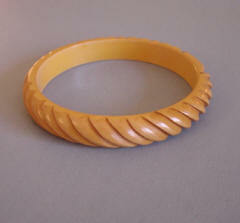 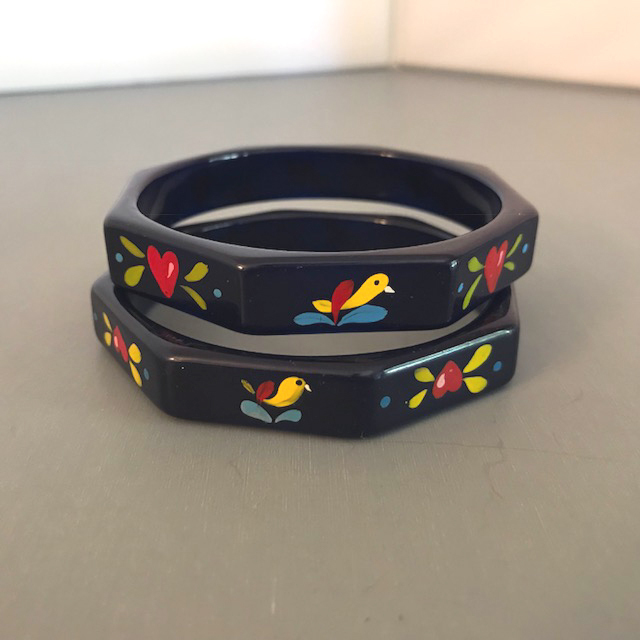 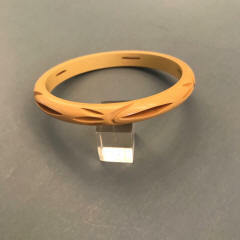 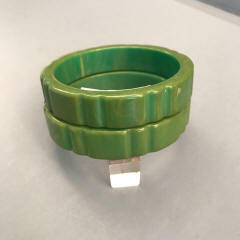 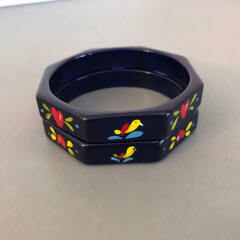 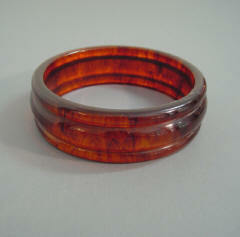 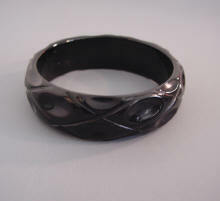 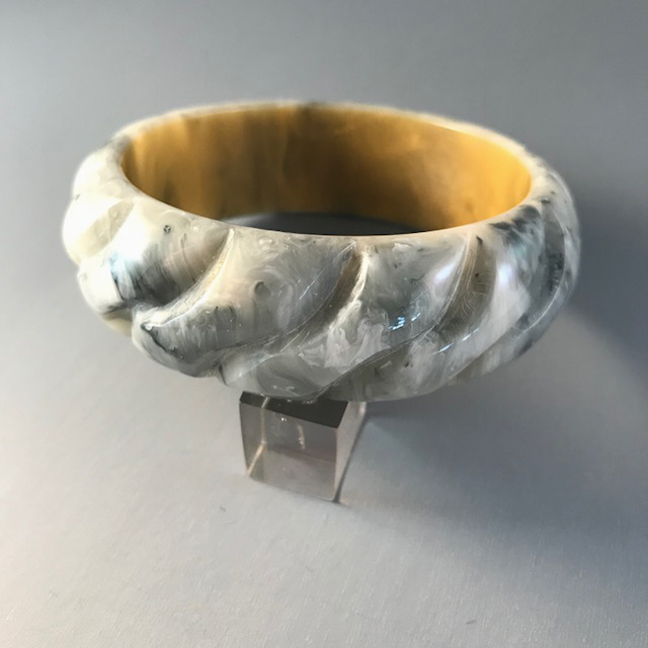 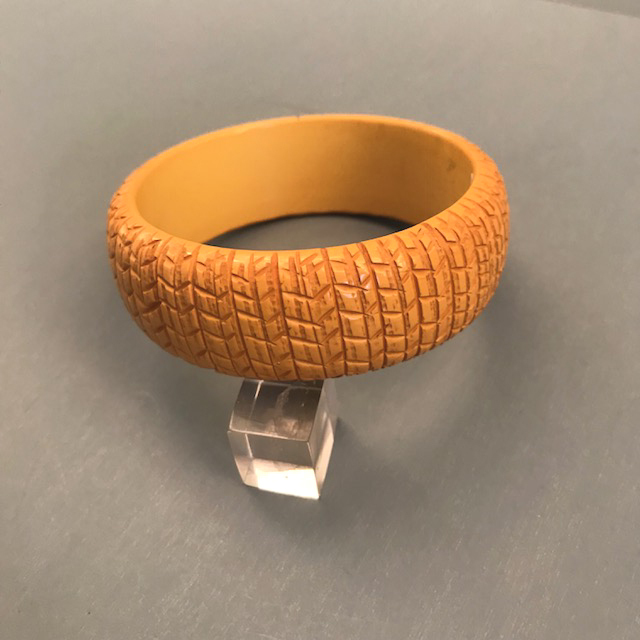 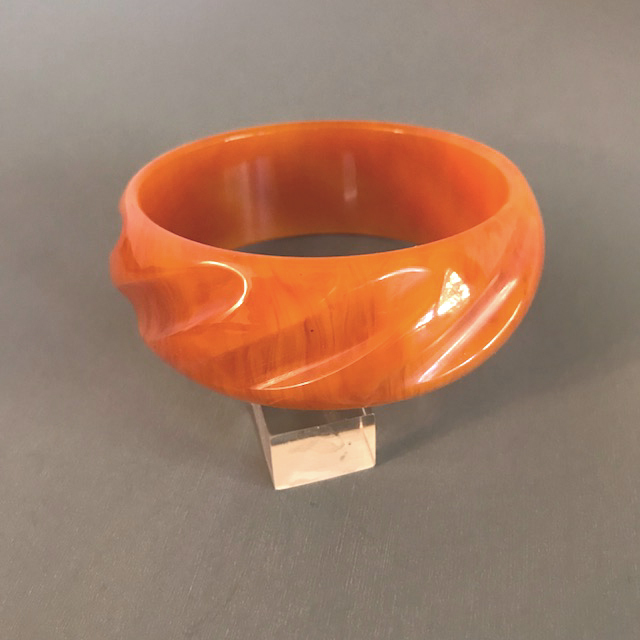 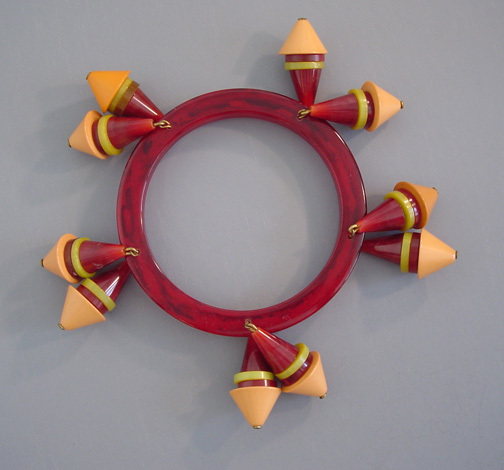 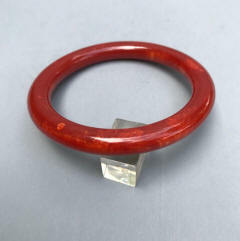 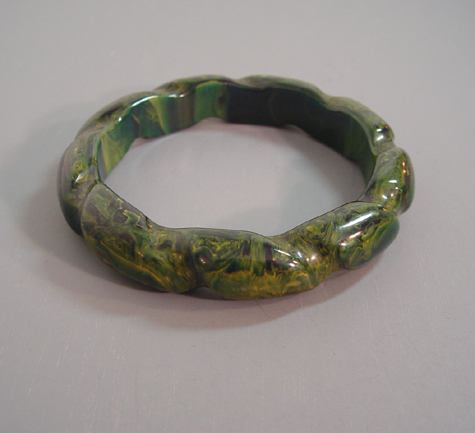 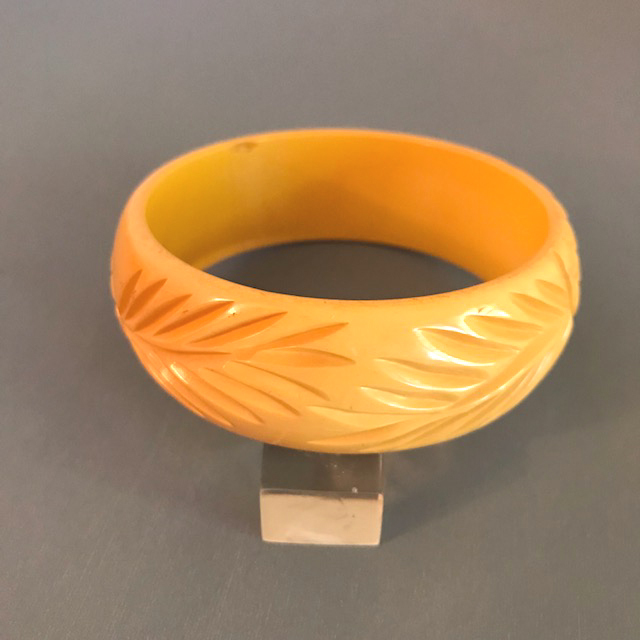 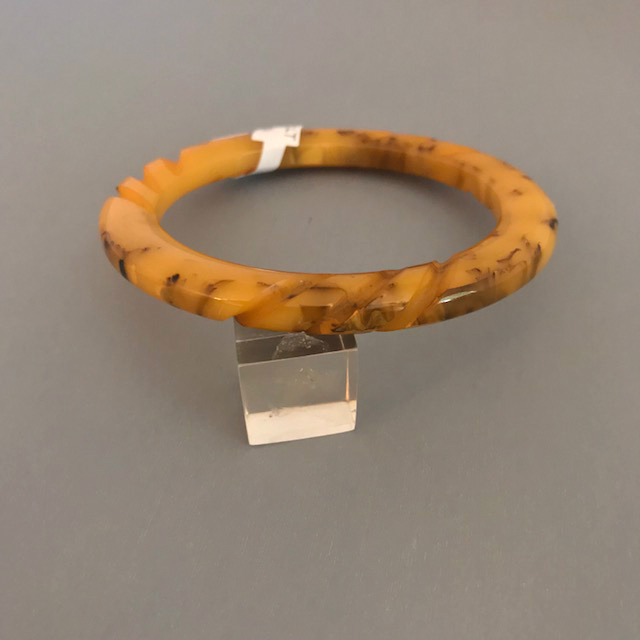 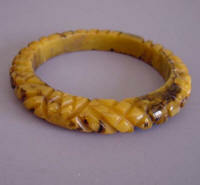 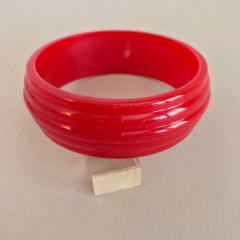 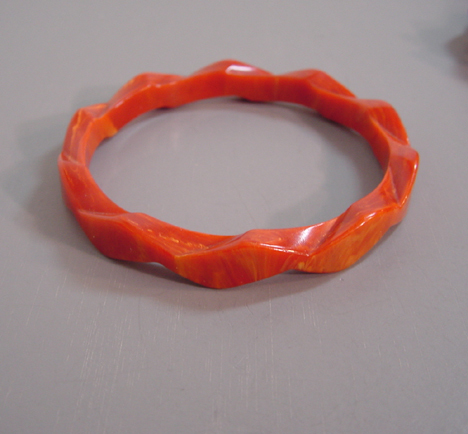 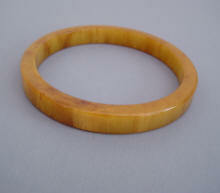 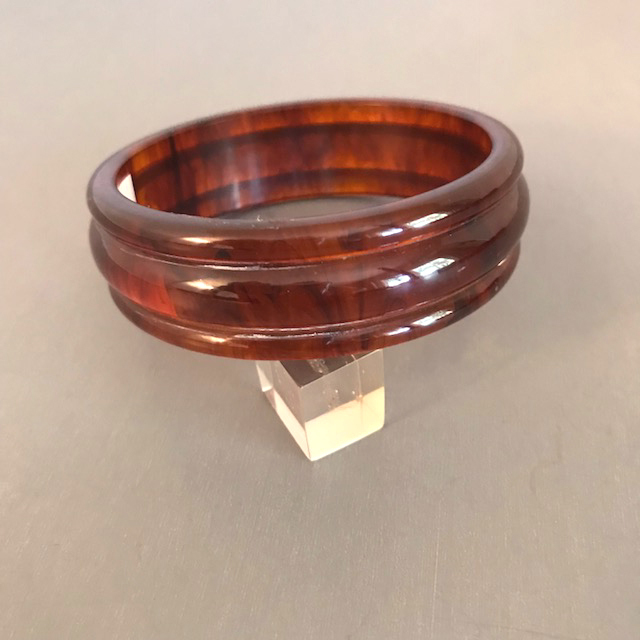 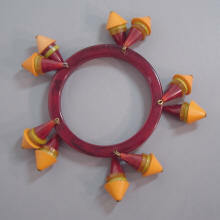 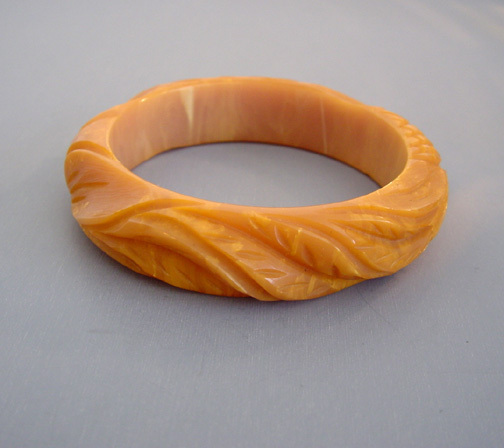 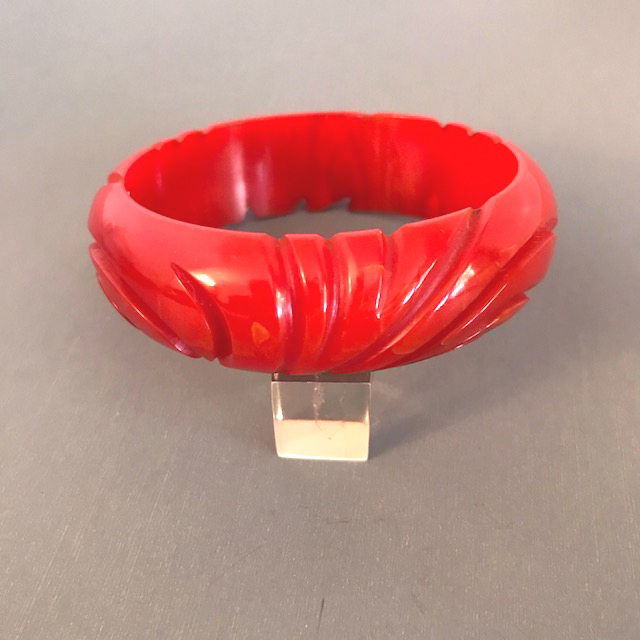 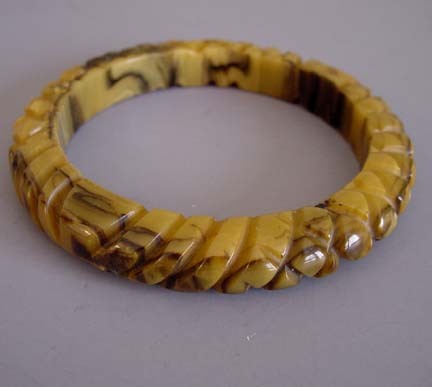 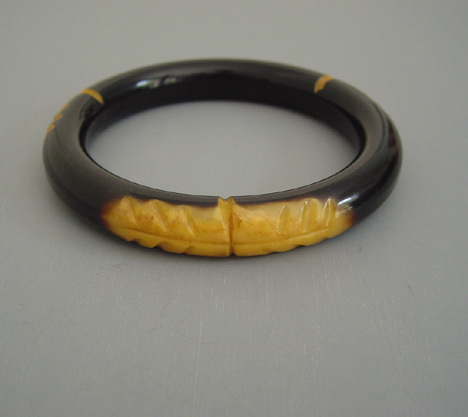 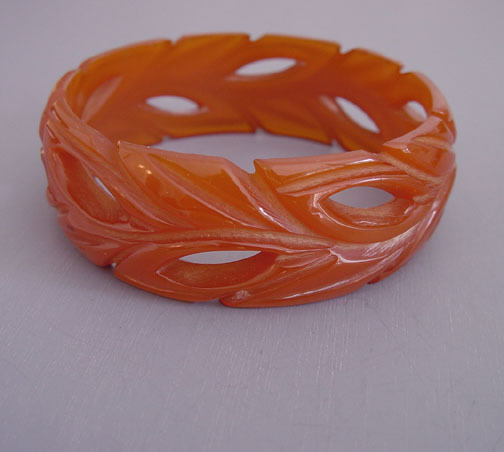 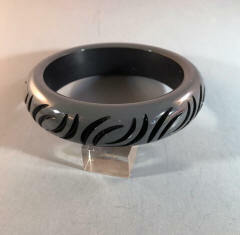 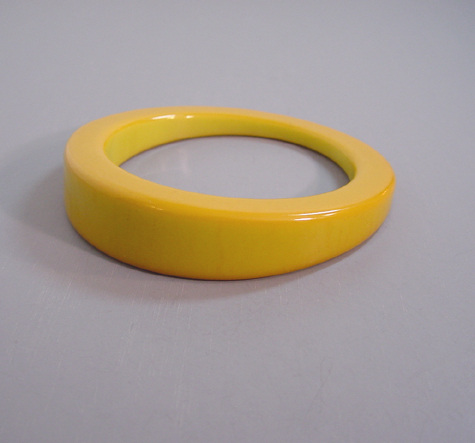 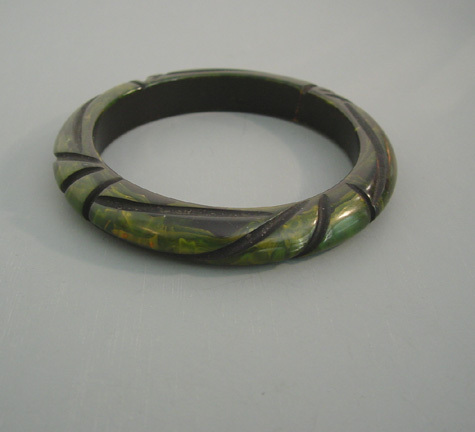 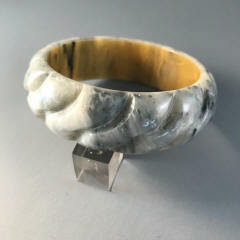 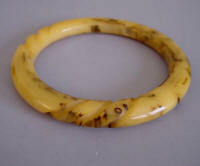 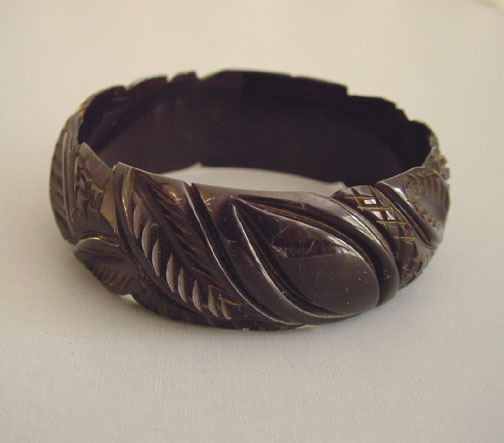 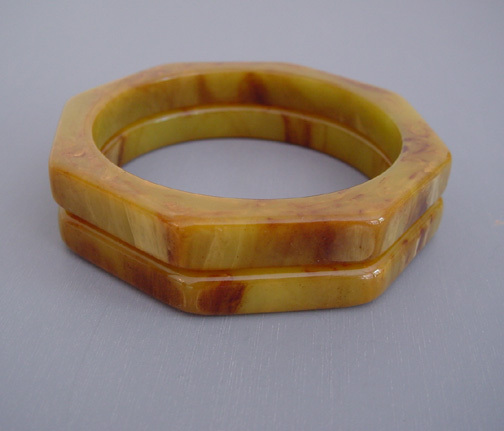 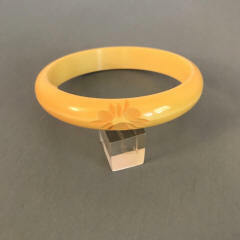 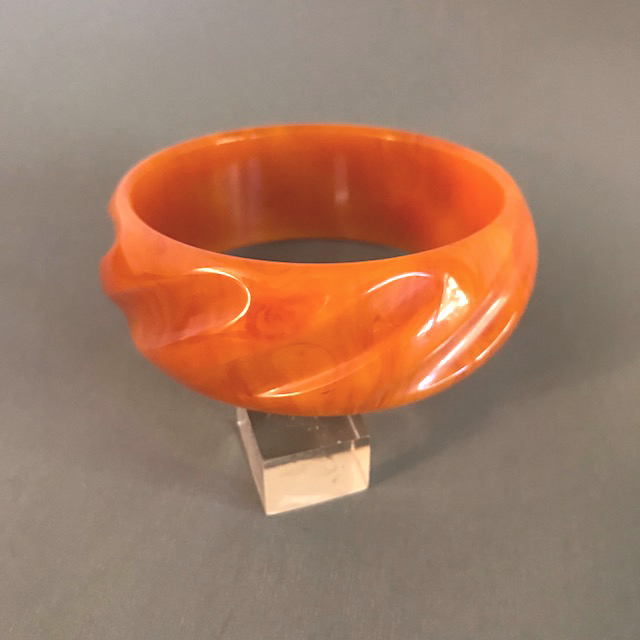 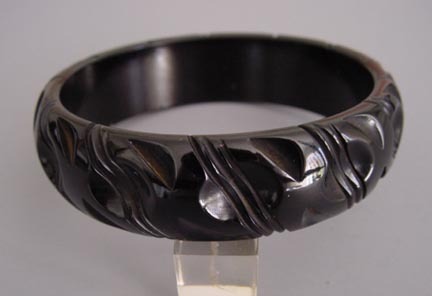 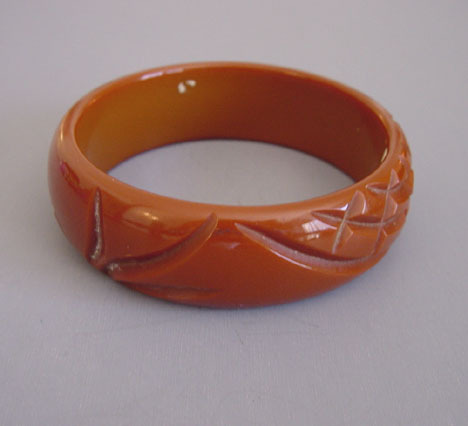 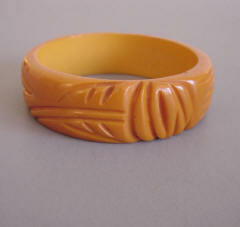 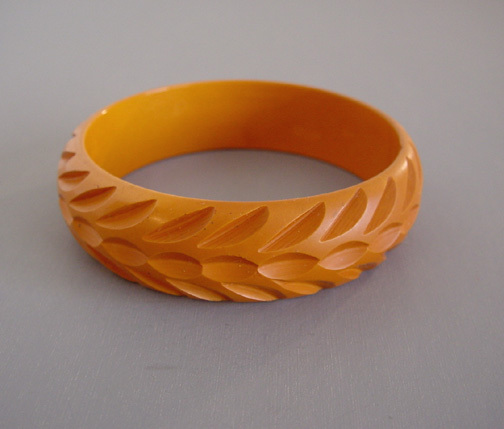 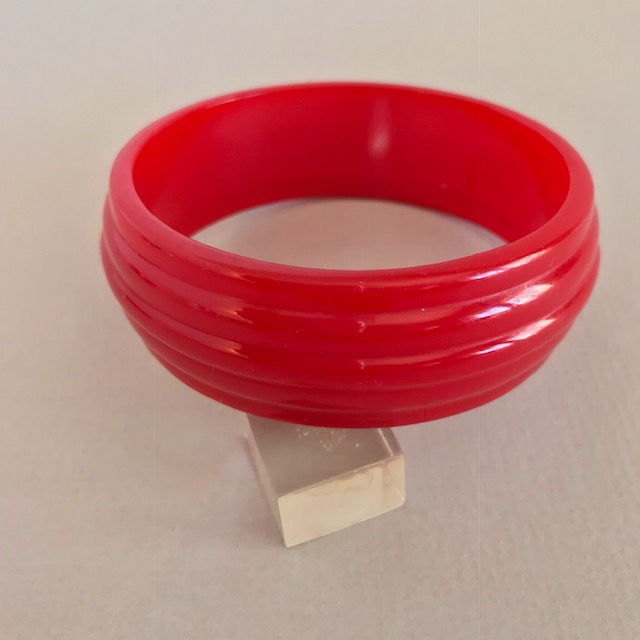 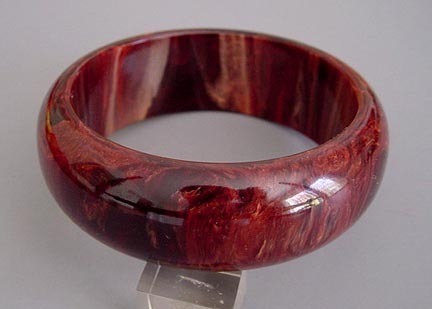 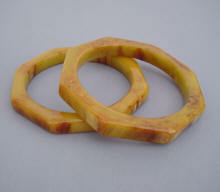 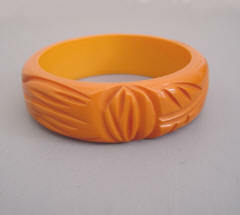 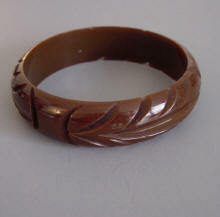 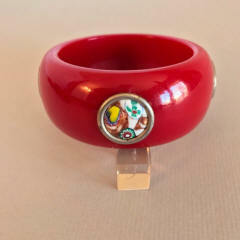 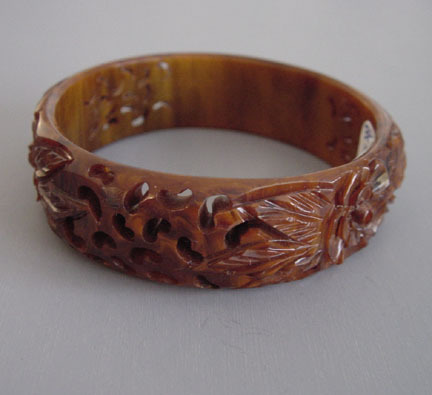 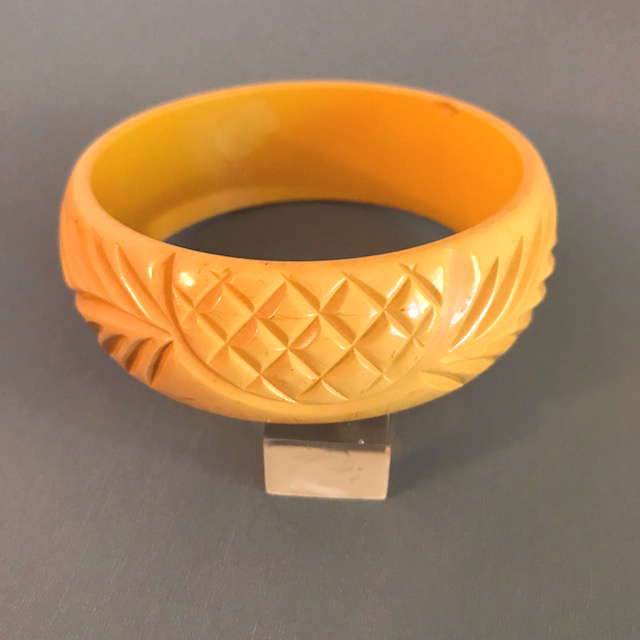 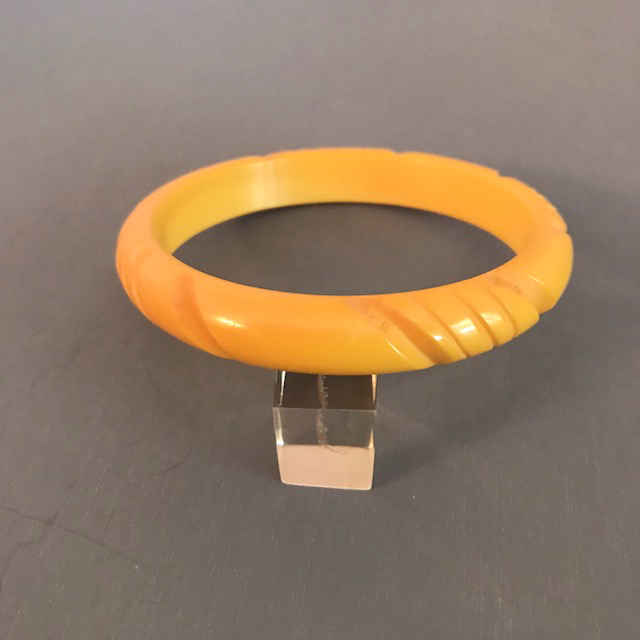 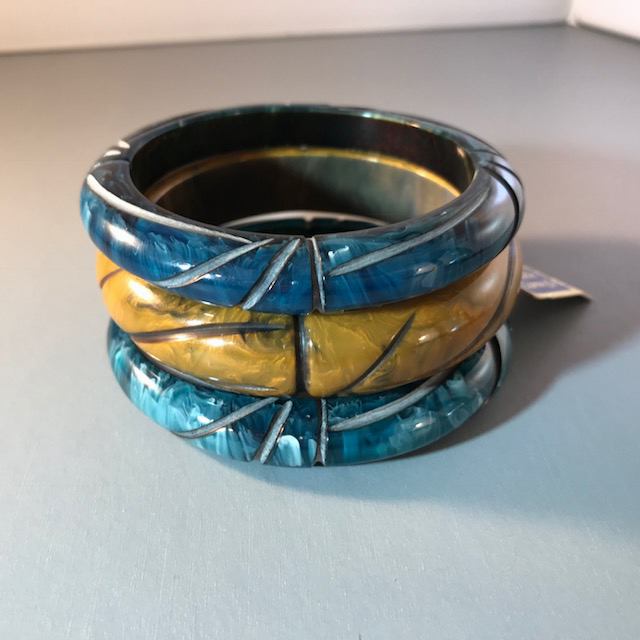 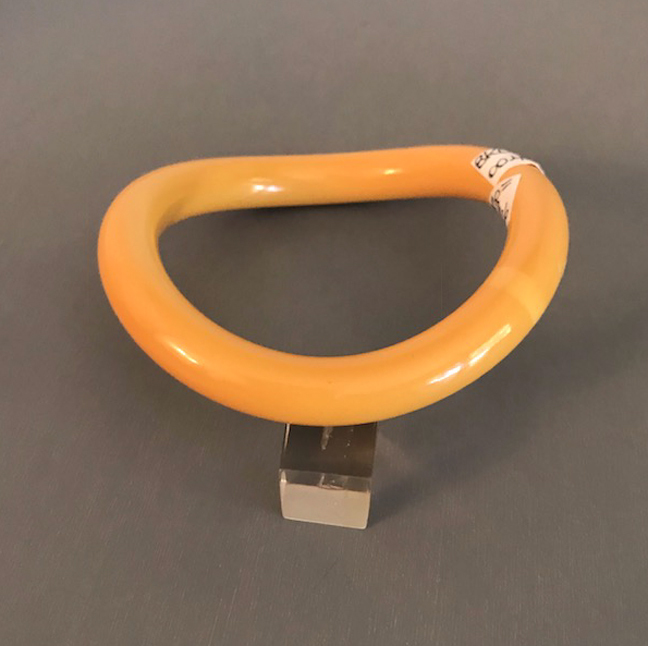 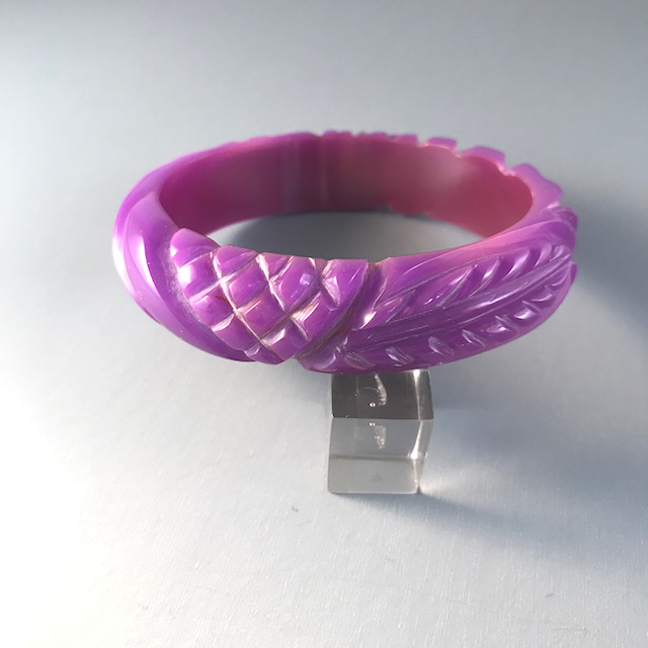 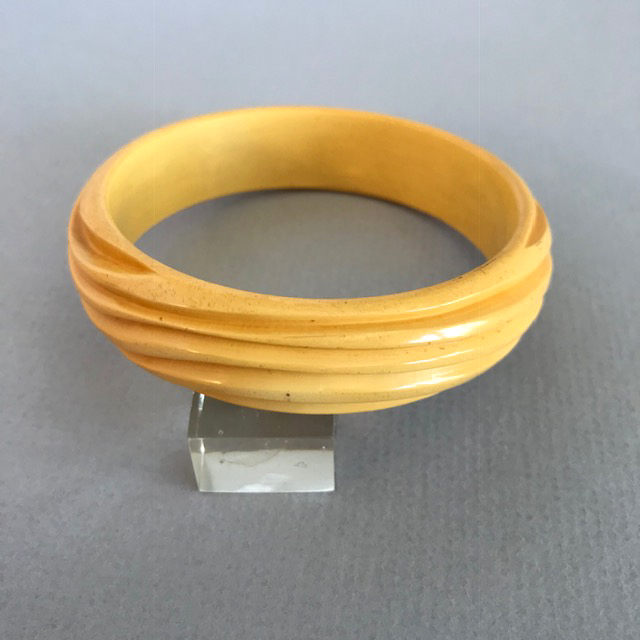 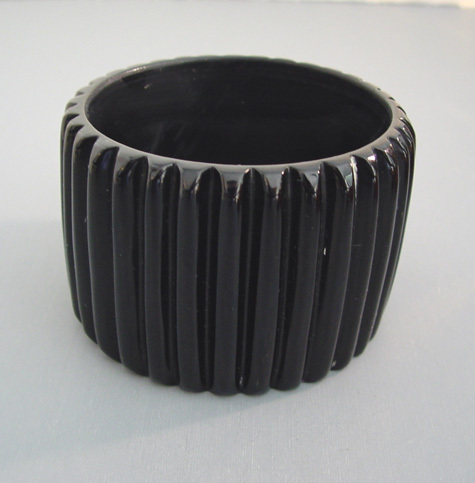 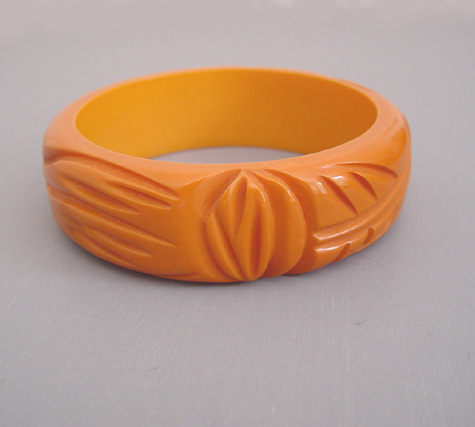 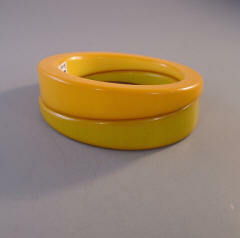 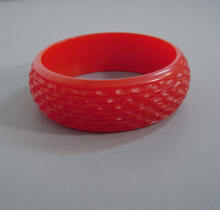 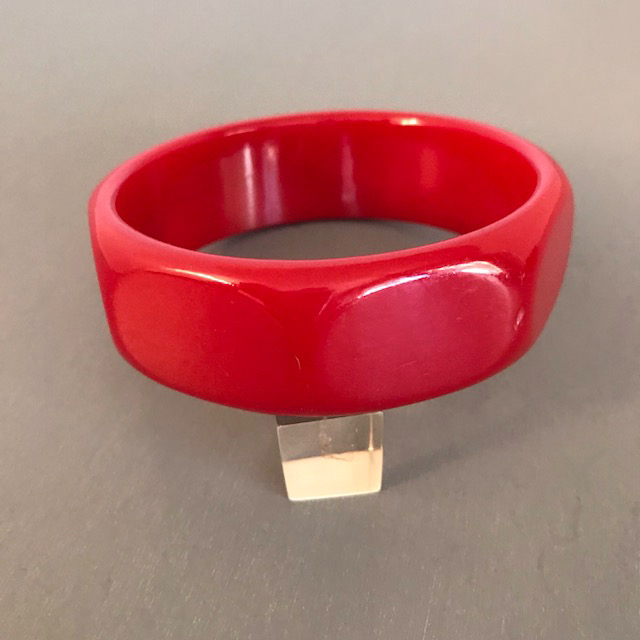 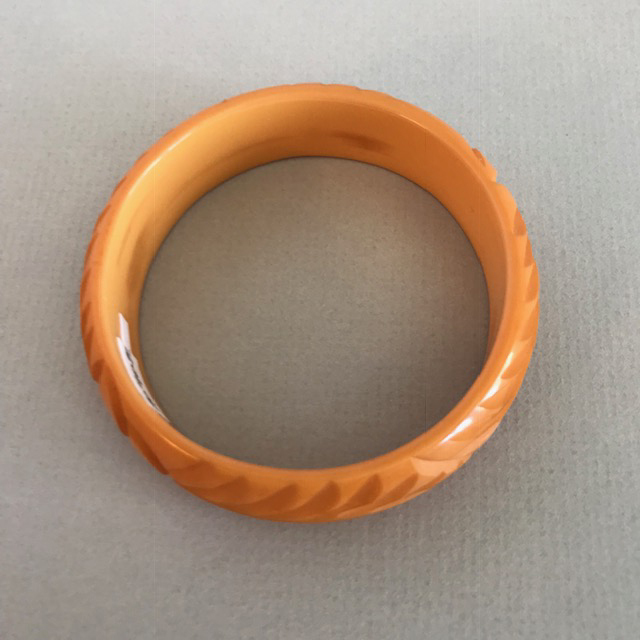 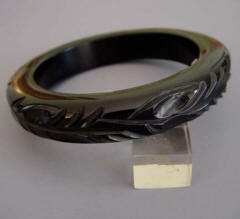 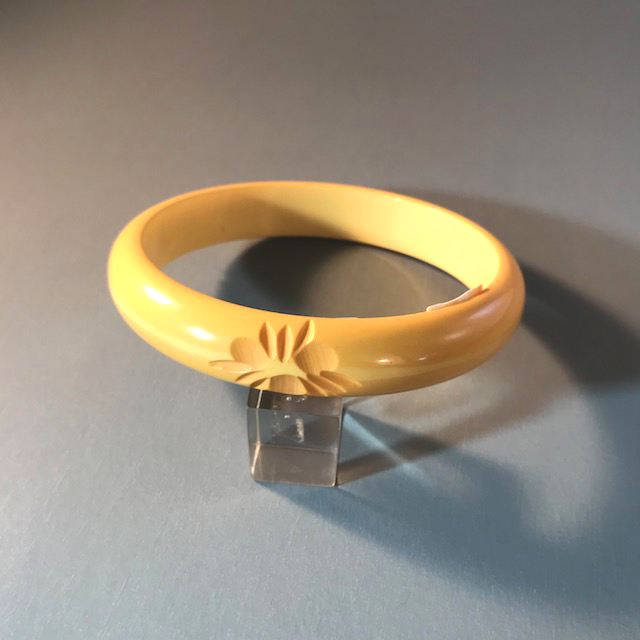 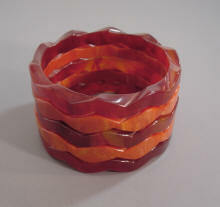 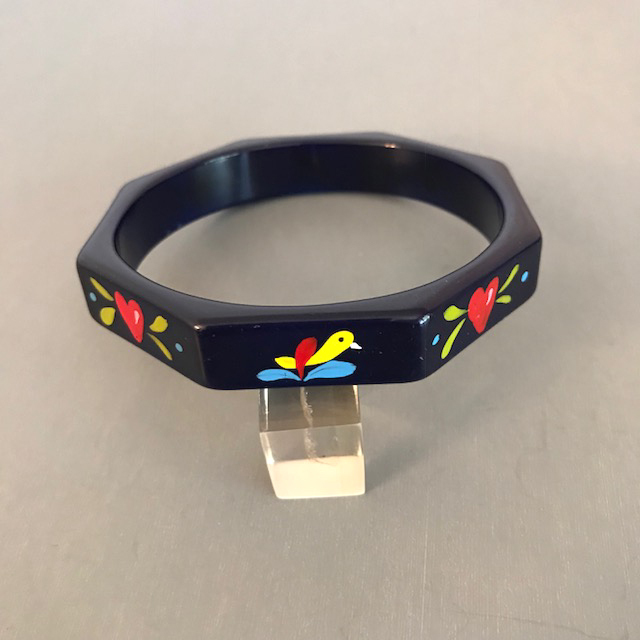 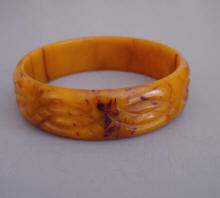 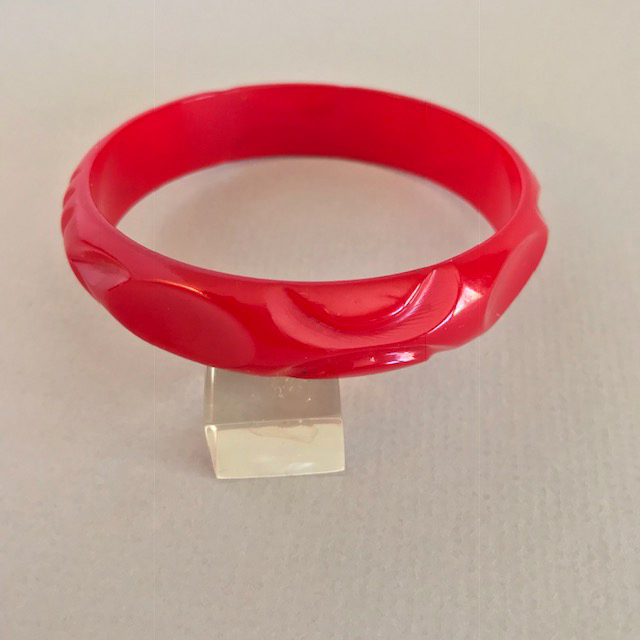 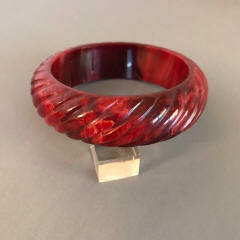 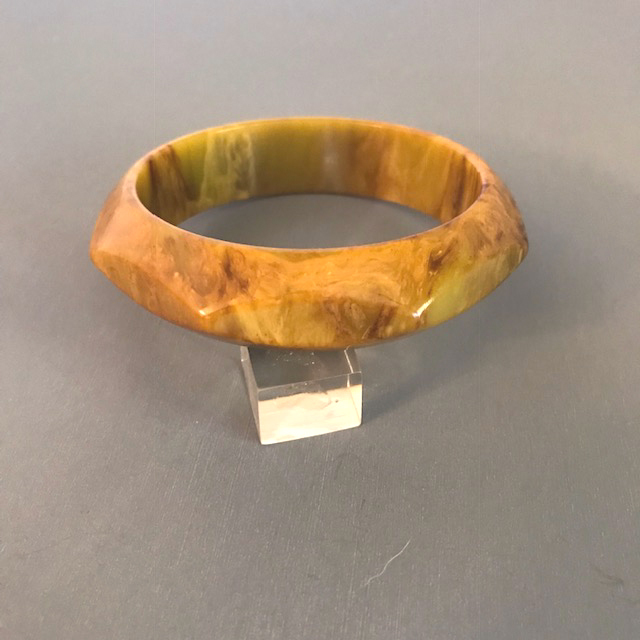 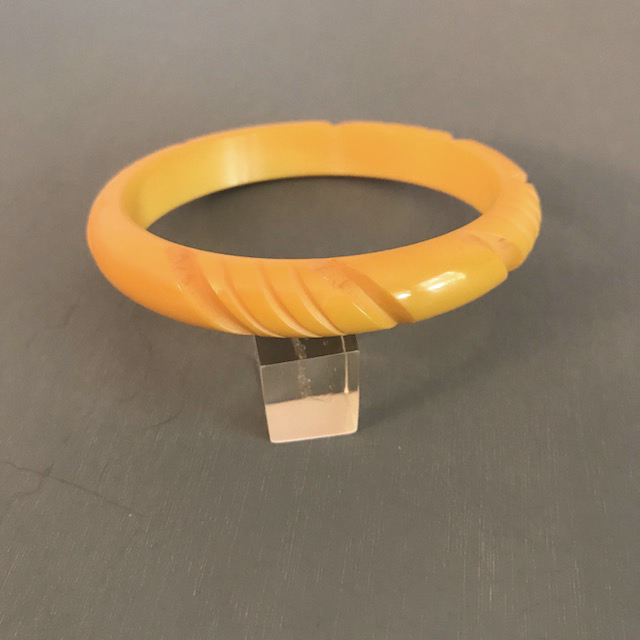 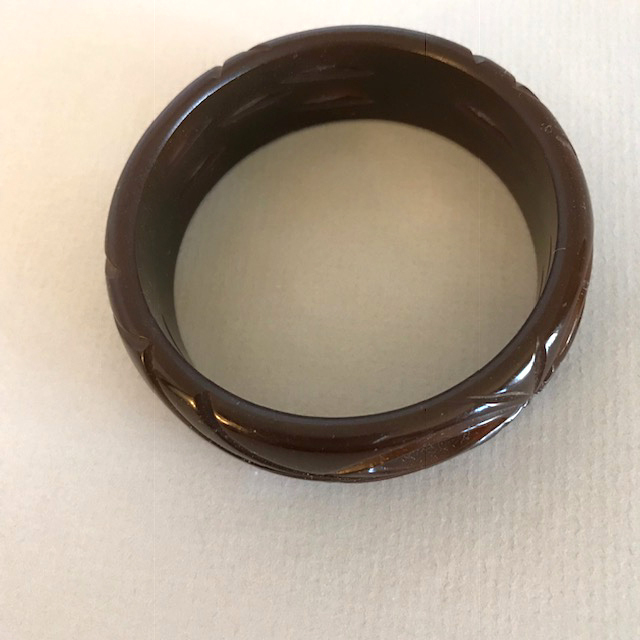 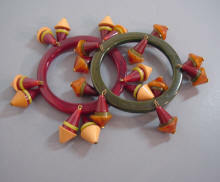 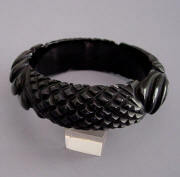 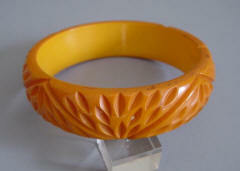 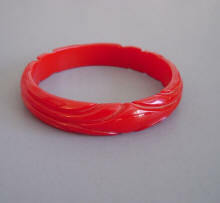 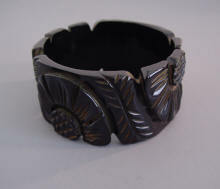 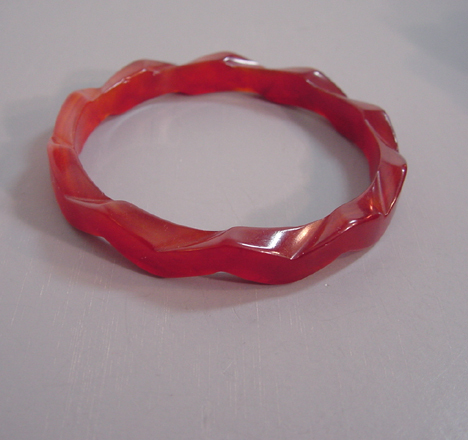 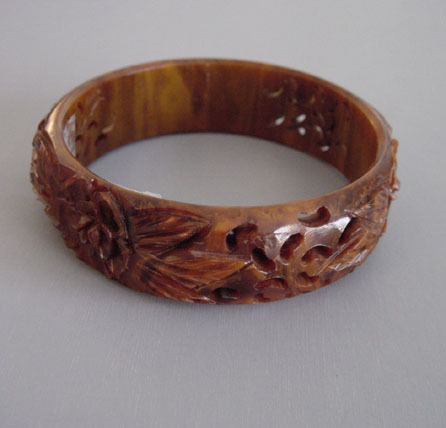 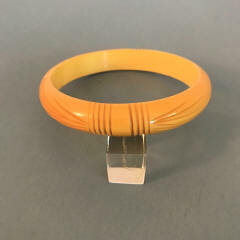 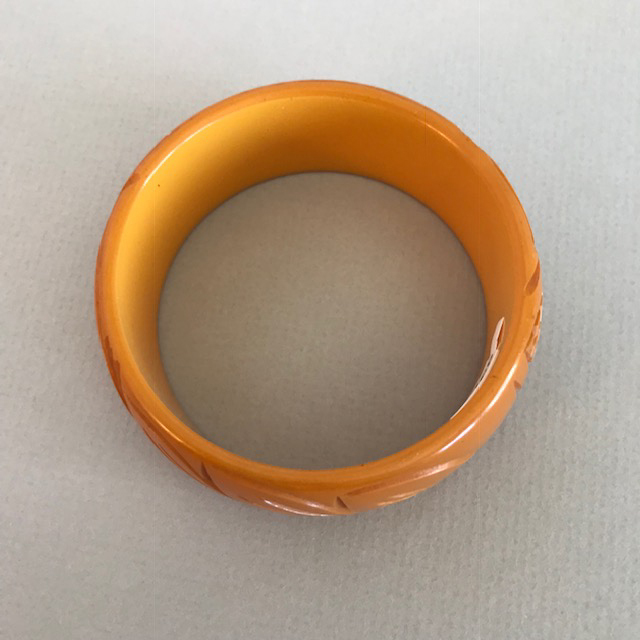 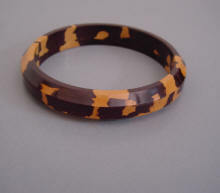 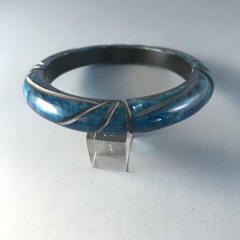 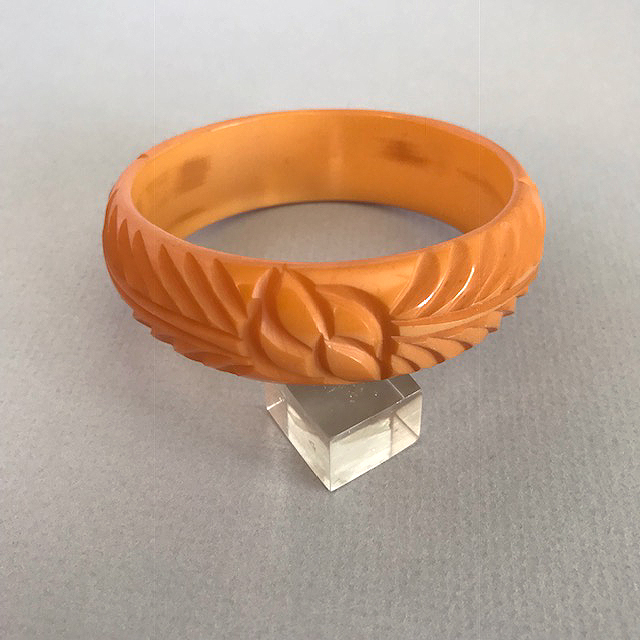 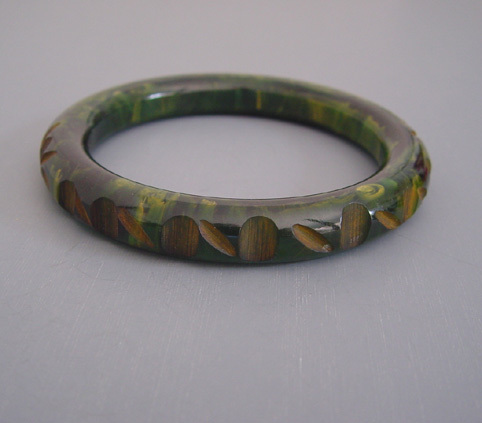 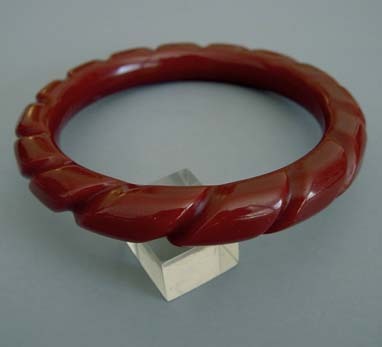 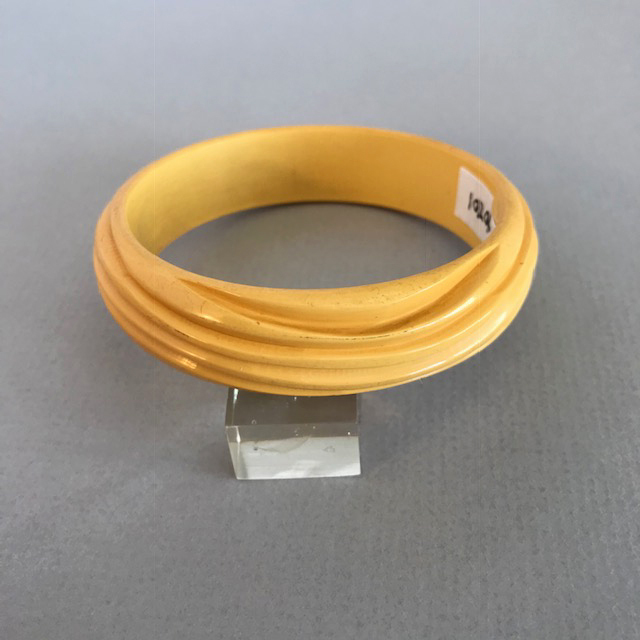 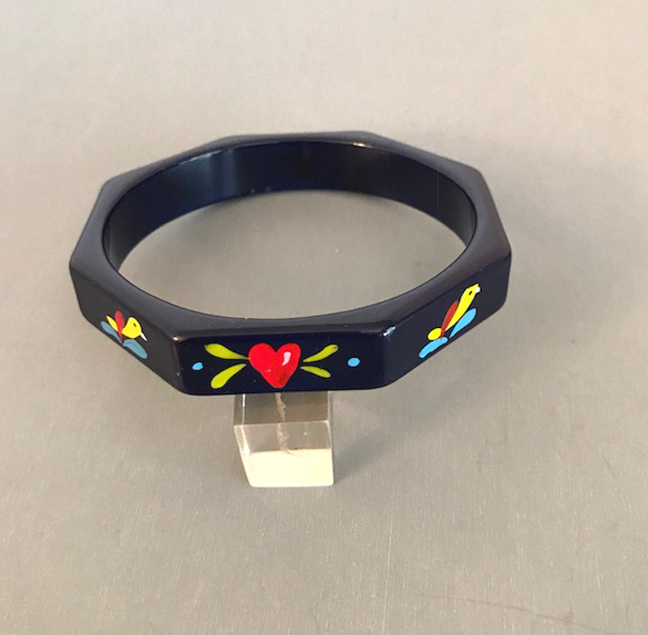 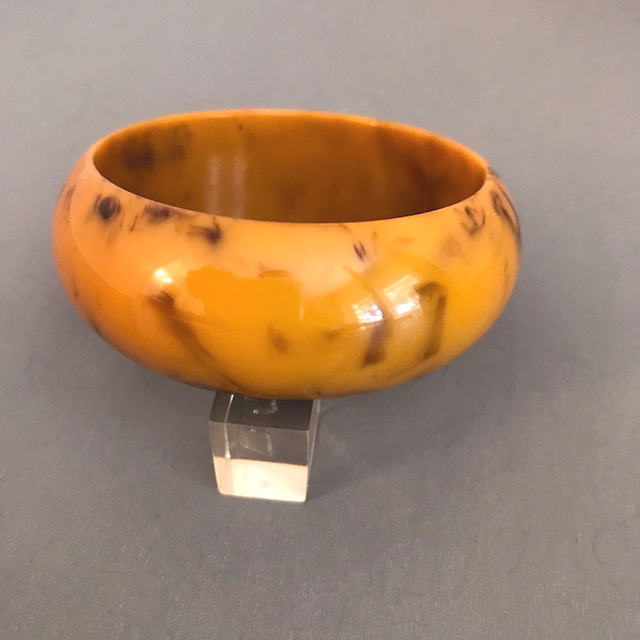 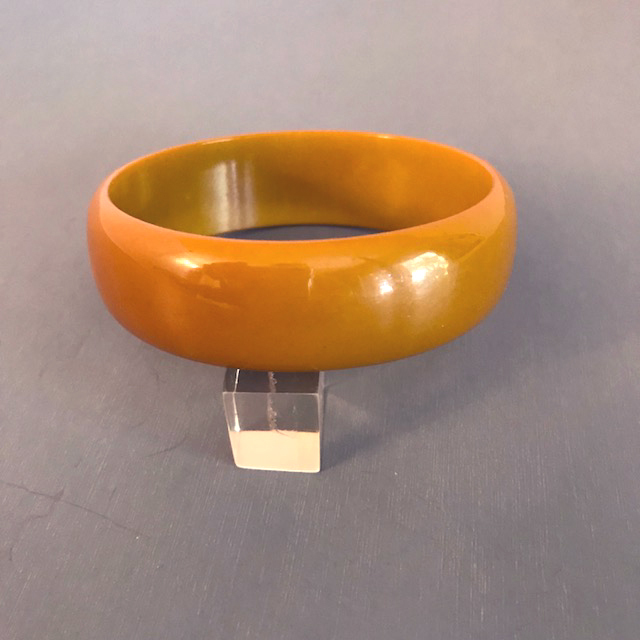 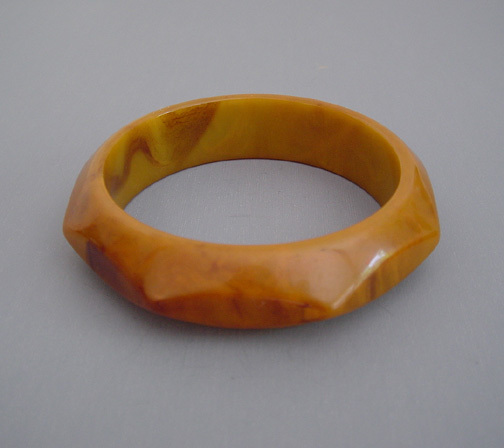 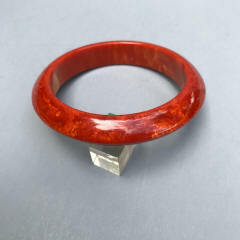 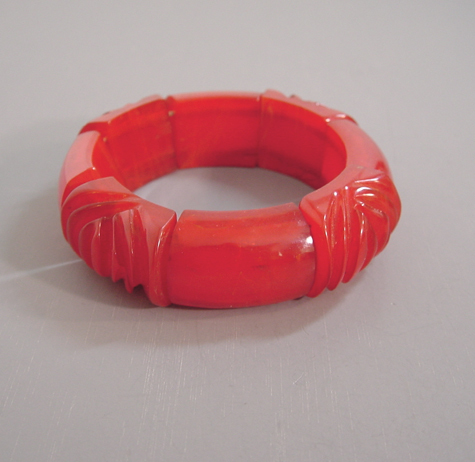 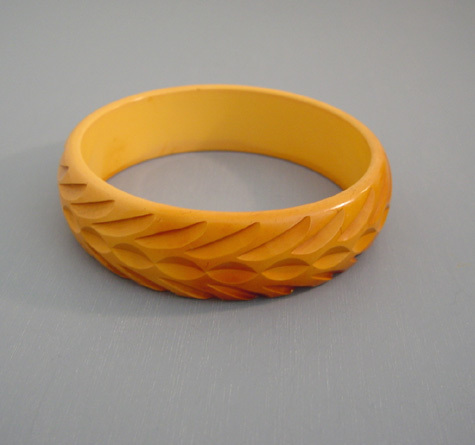 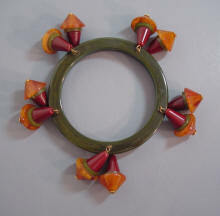 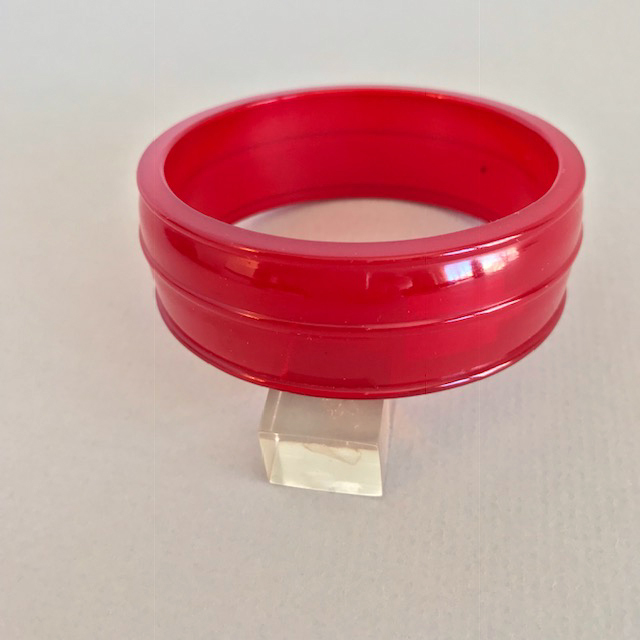 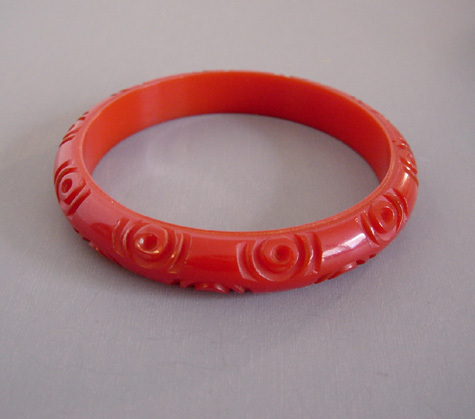 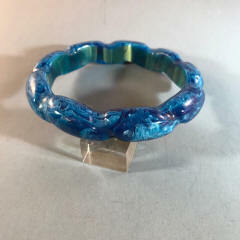 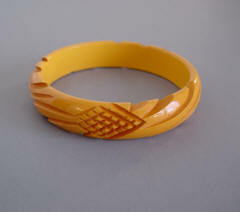 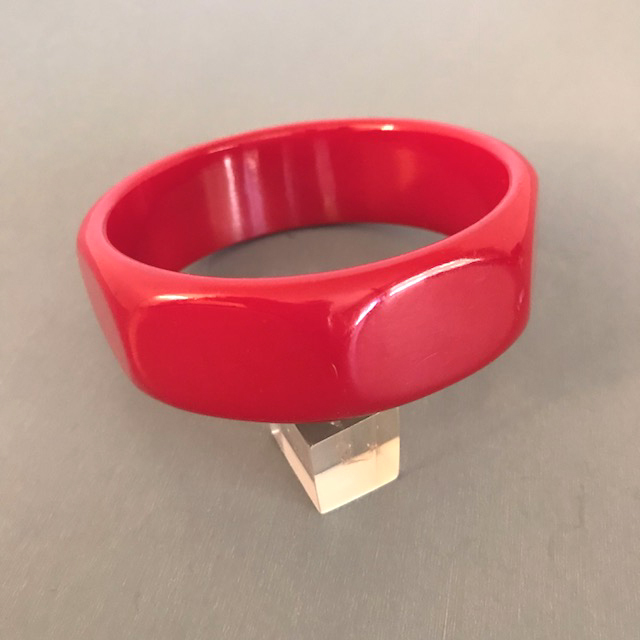 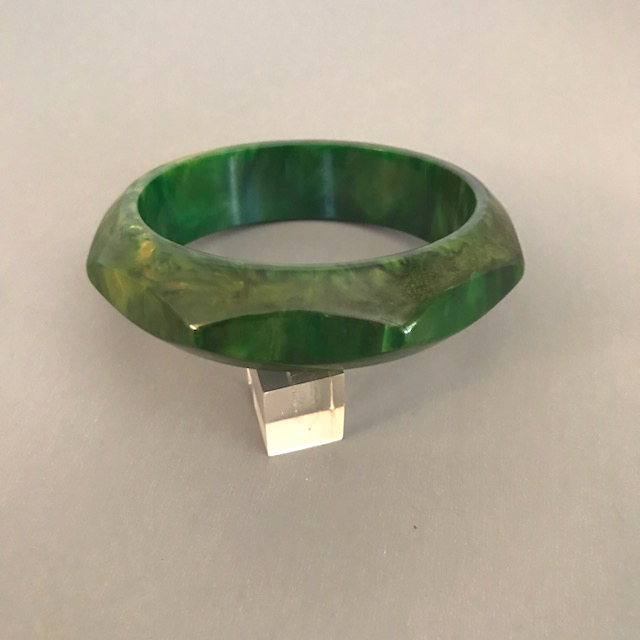 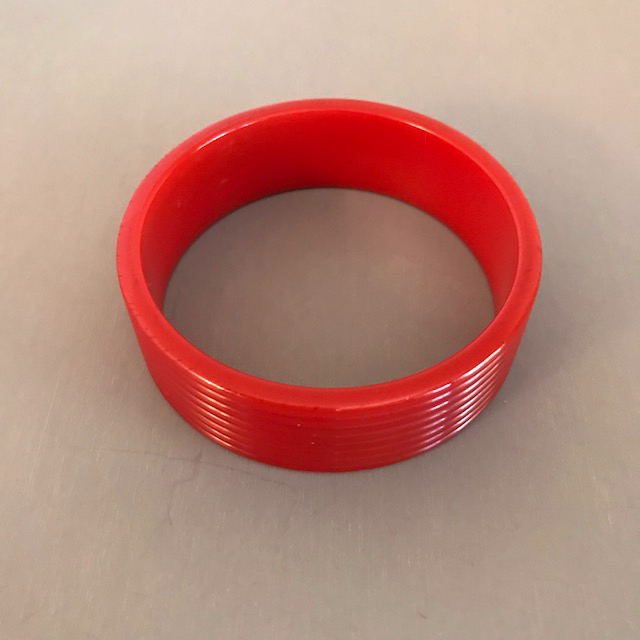 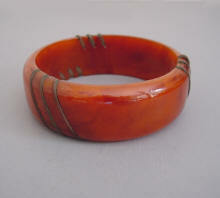 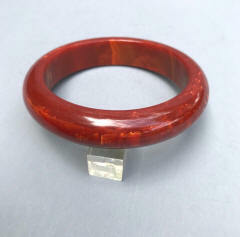 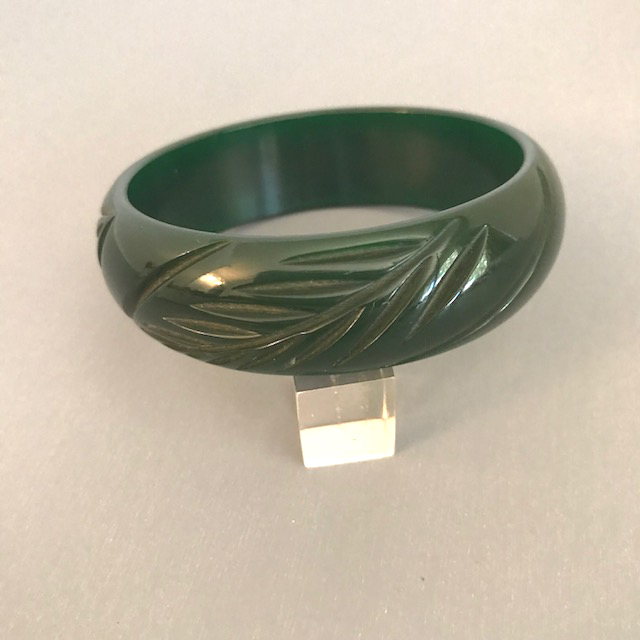 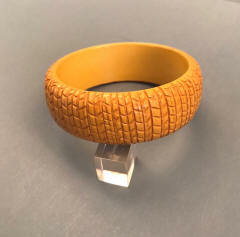 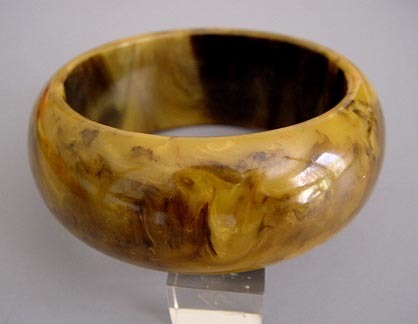 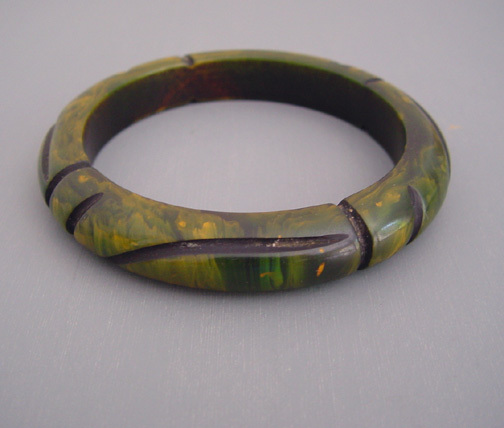 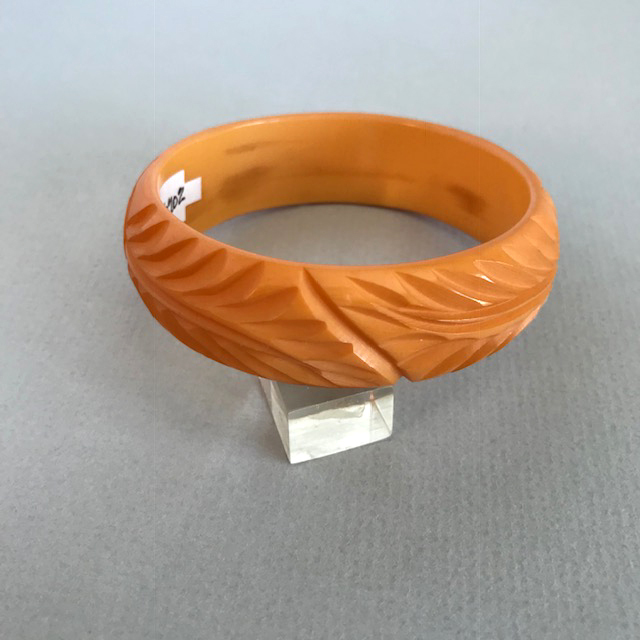 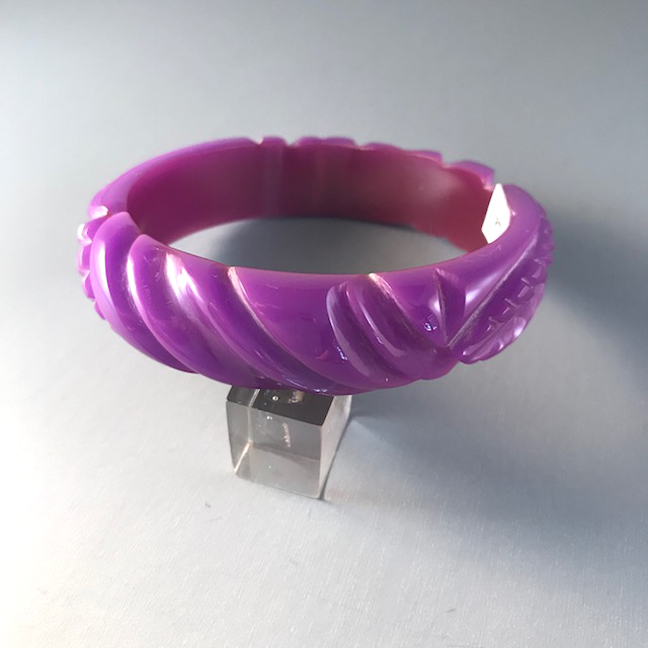 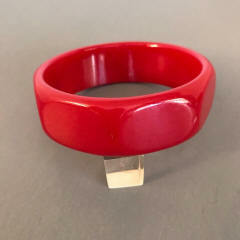 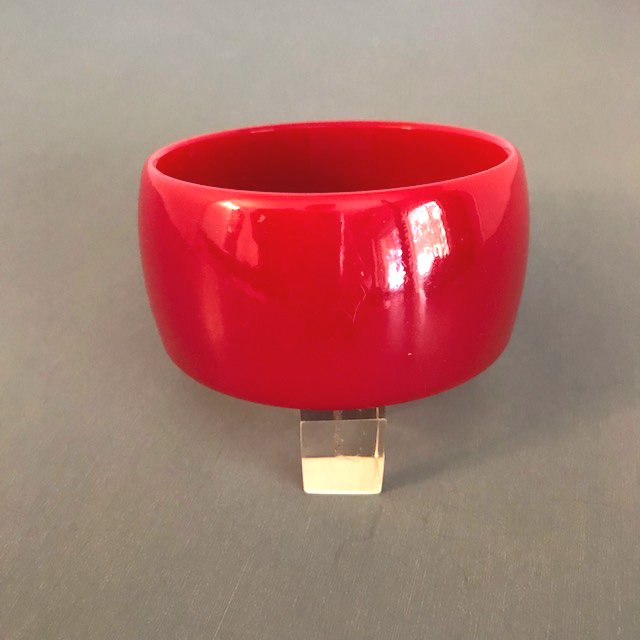 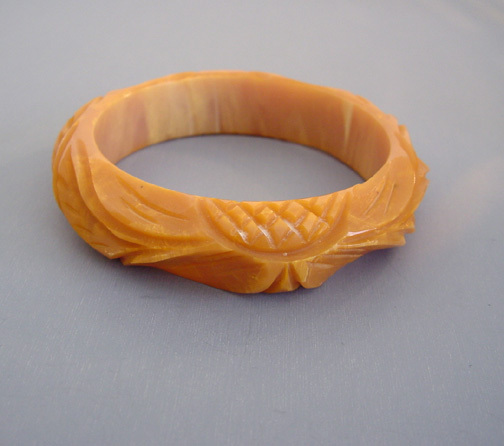 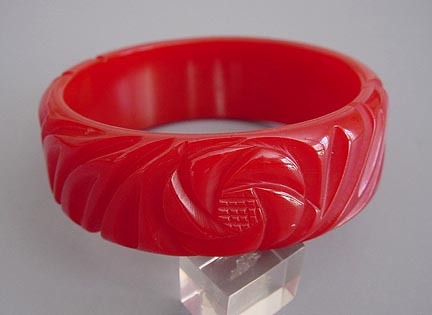 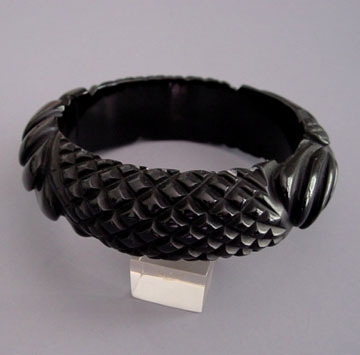 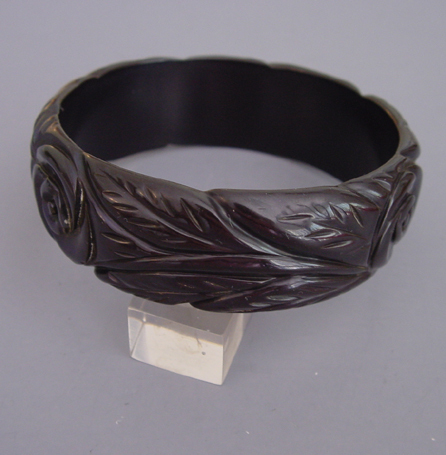 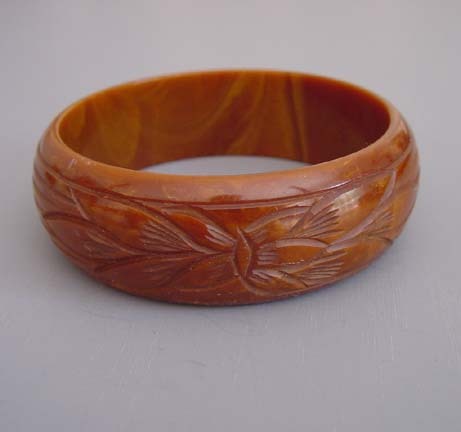 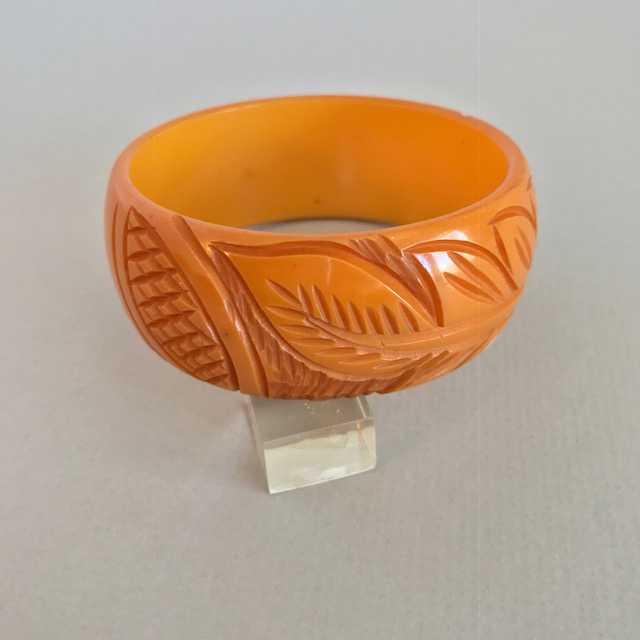 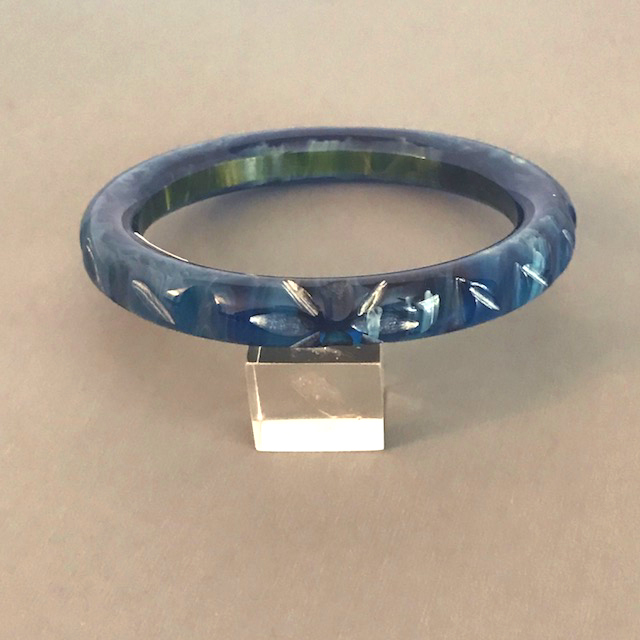 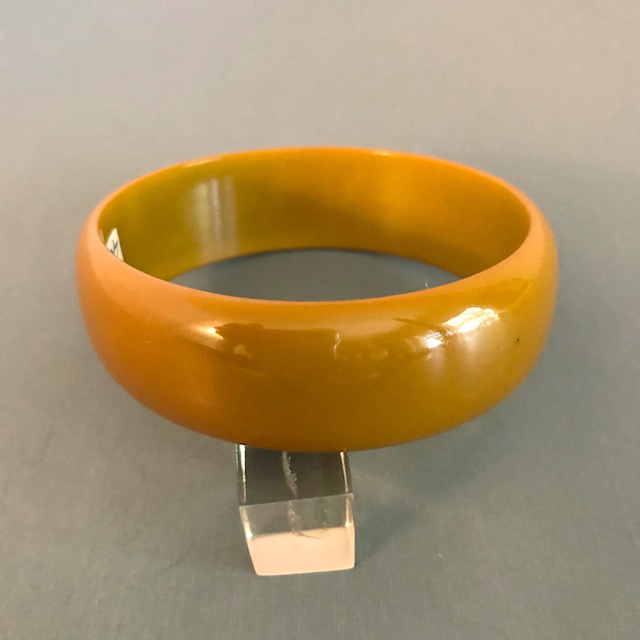 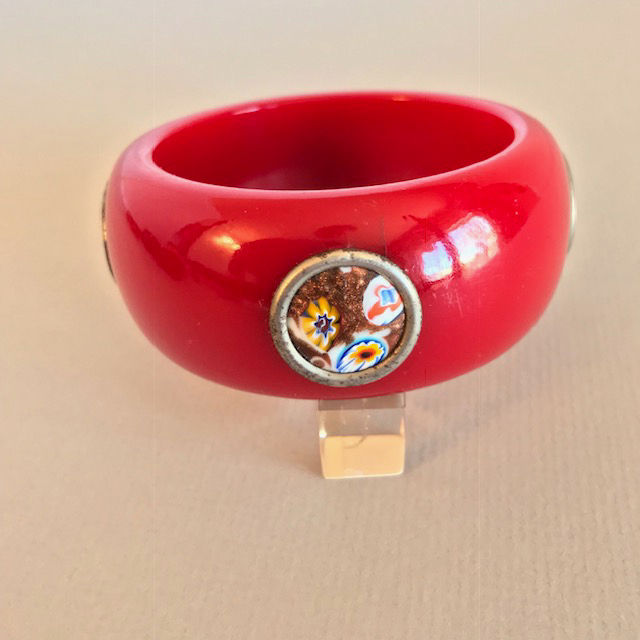 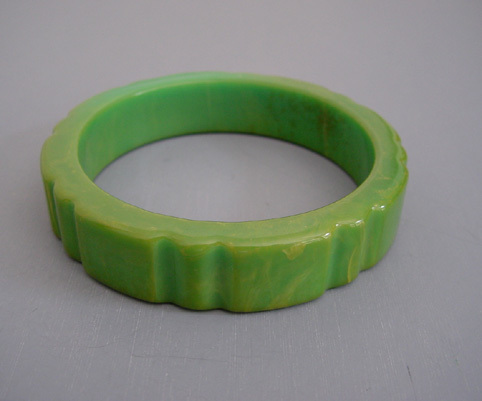 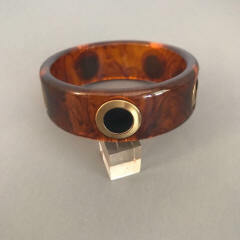 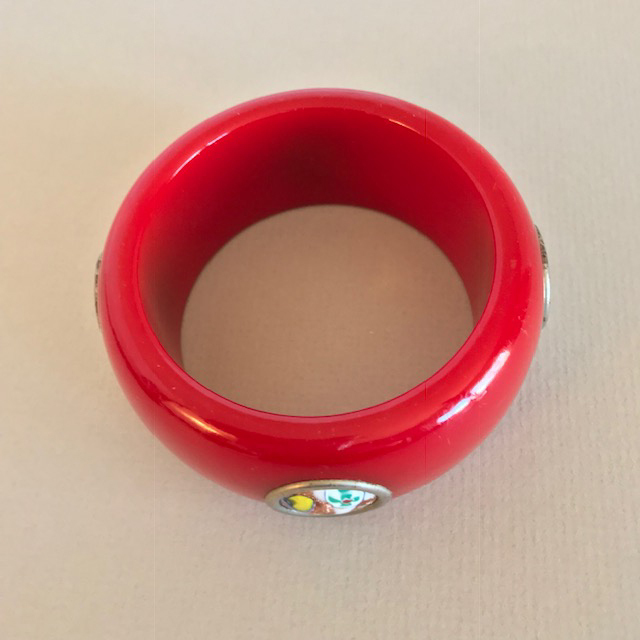 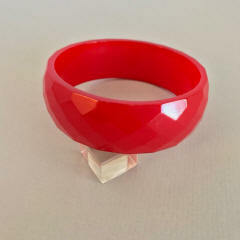 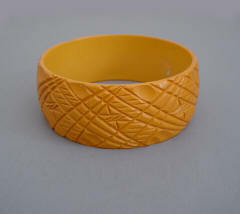 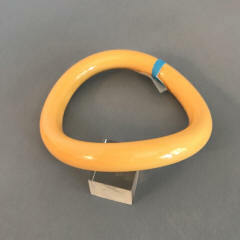 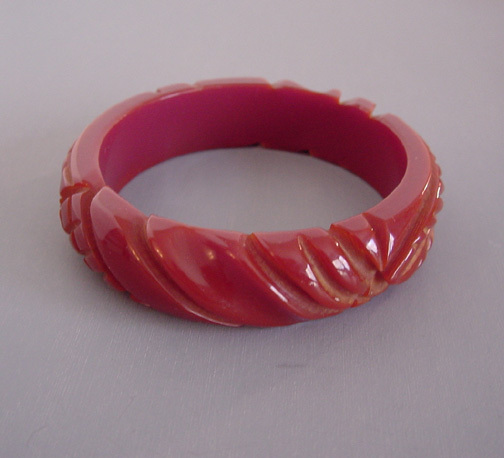 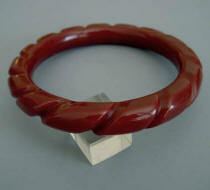 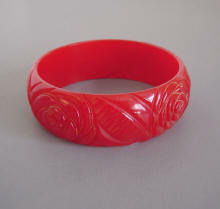 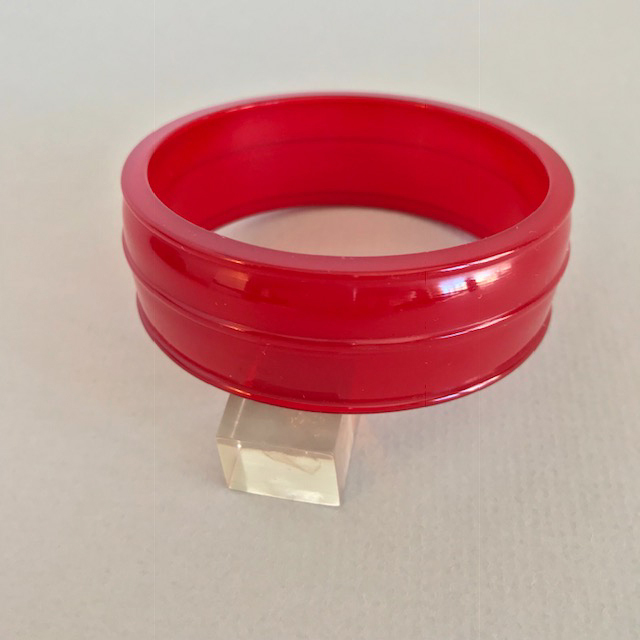 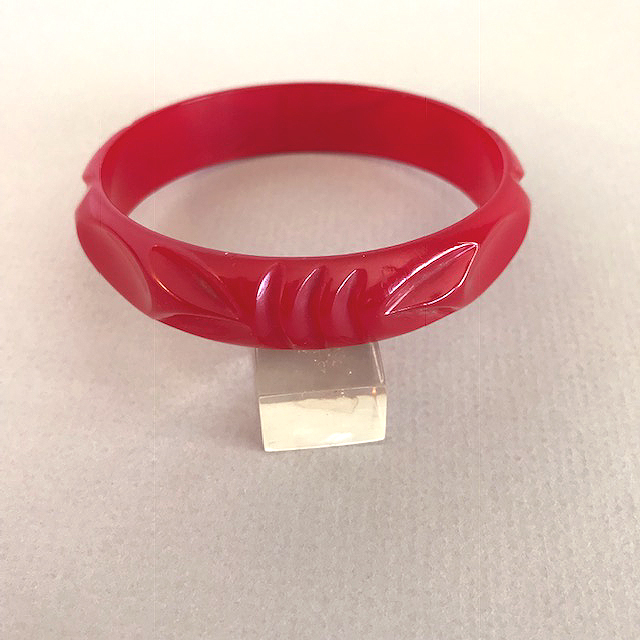 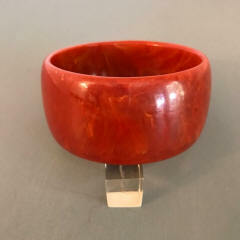 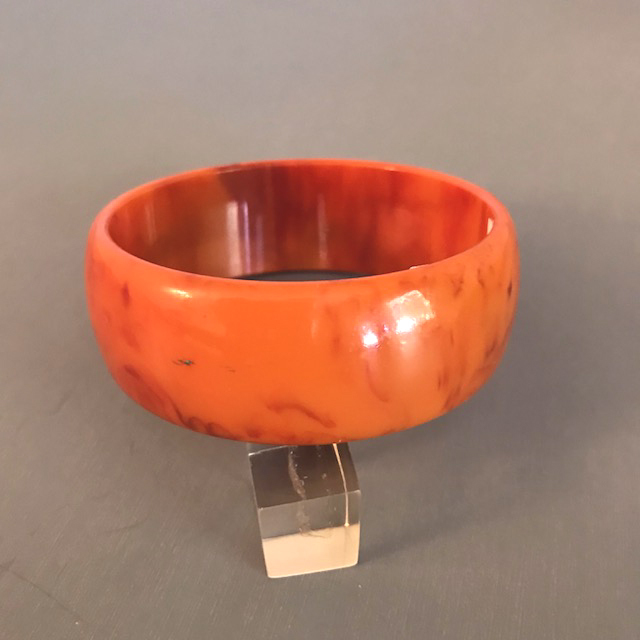 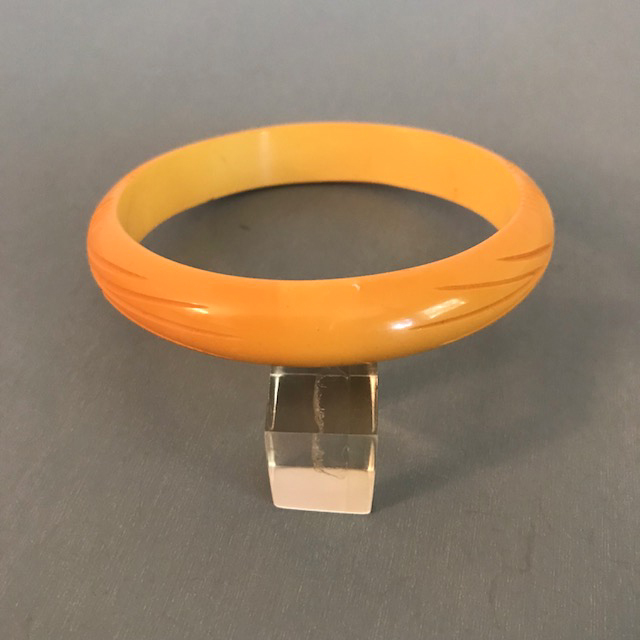 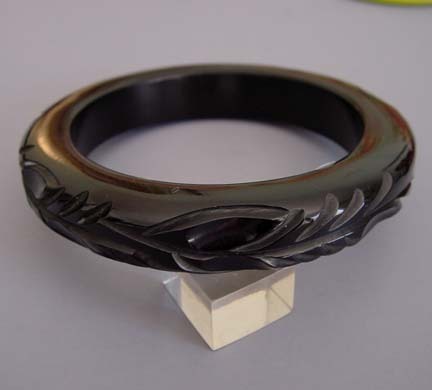 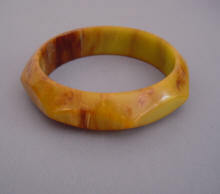 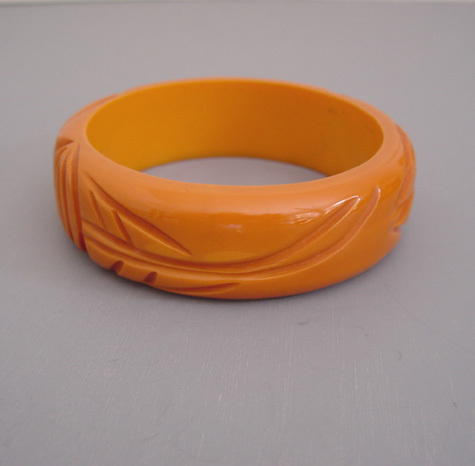 These bangles are bakelite that had mellowed over time to the colors we associate with today's bakelite. 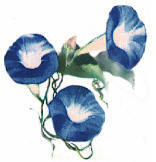 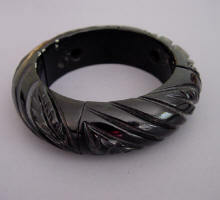 They have now been polished back to the original 1940s colors from when they were first made. 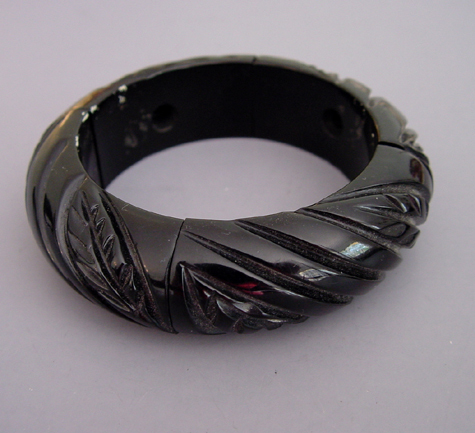 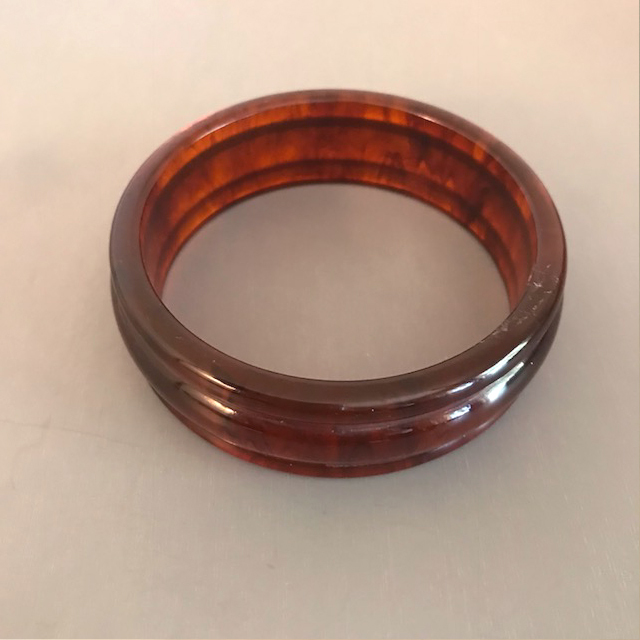 The work was done by the wonderful Brandon Welch of Brandon's Bakelite, who began his work in 2007, and he did a great job! 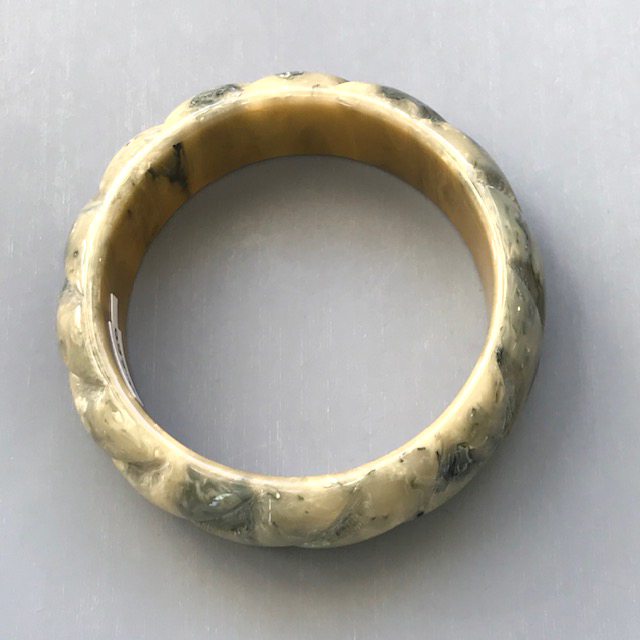 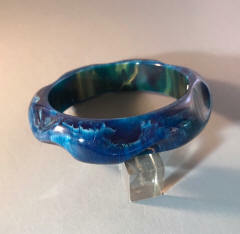 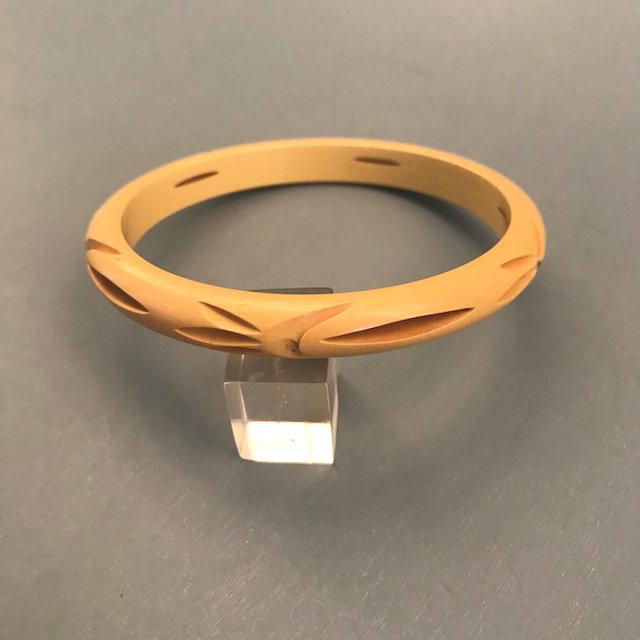 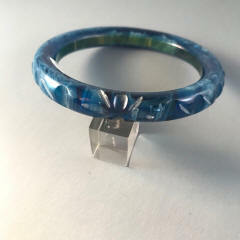 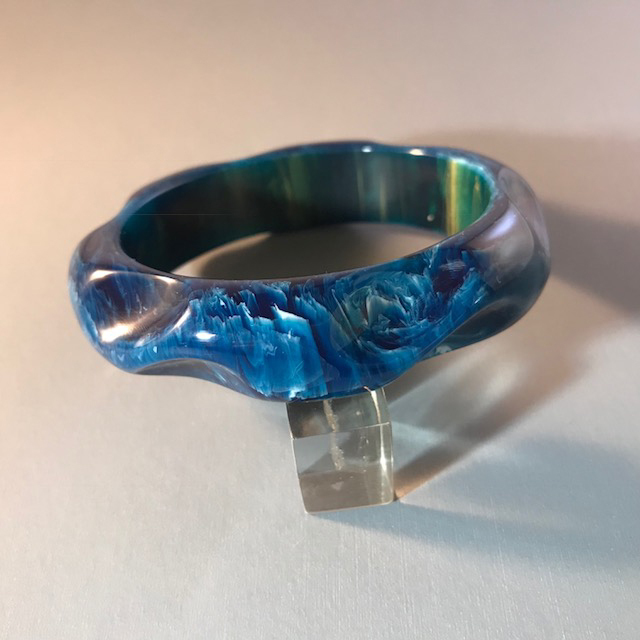 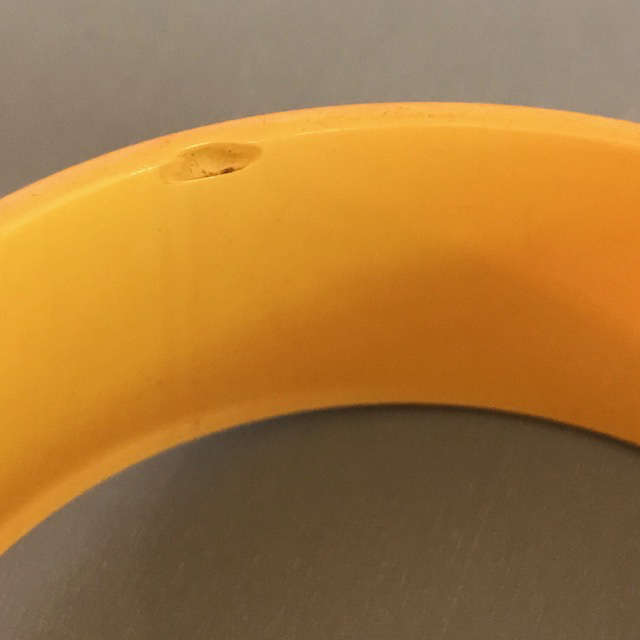 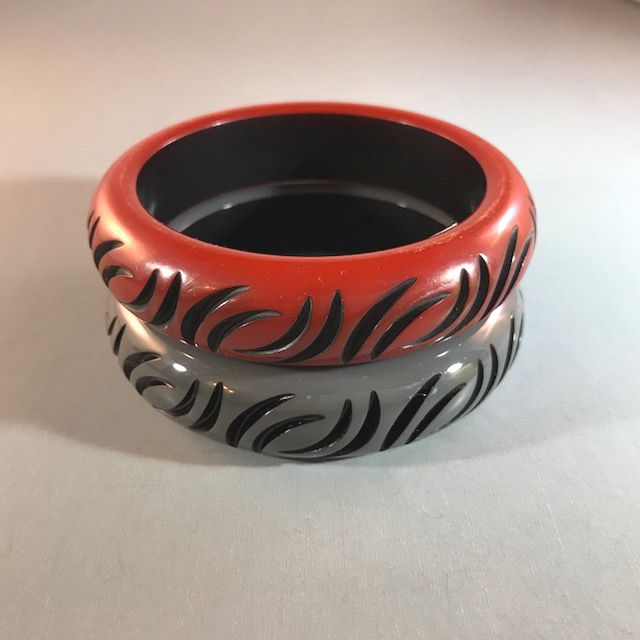 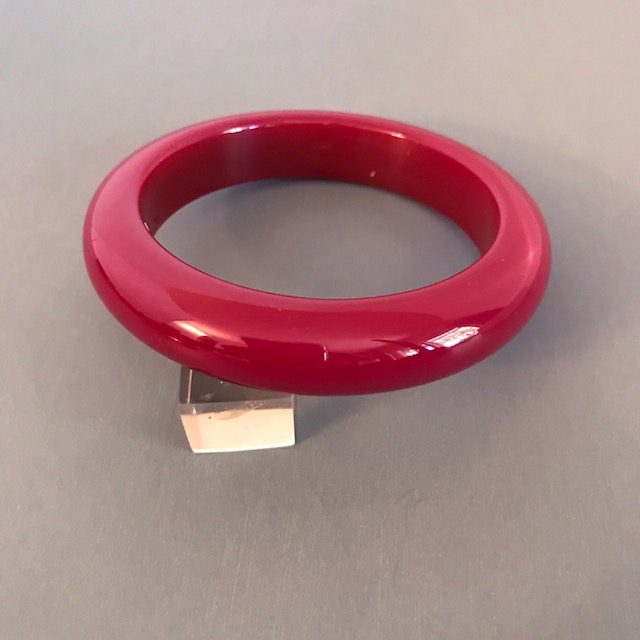 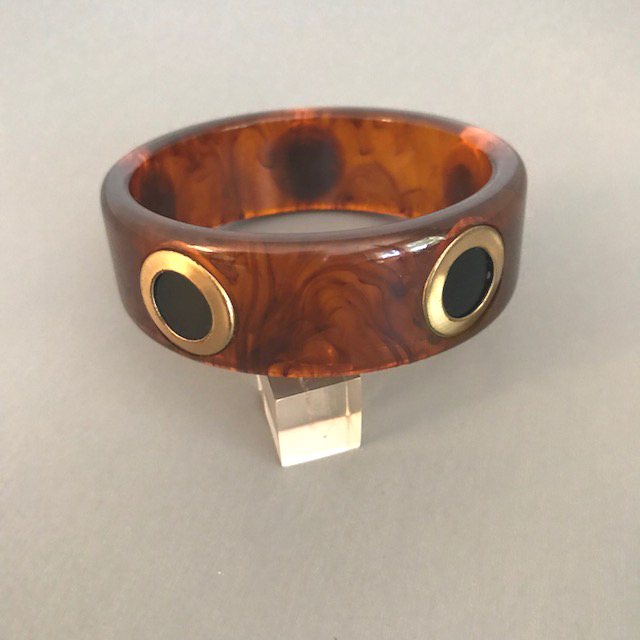 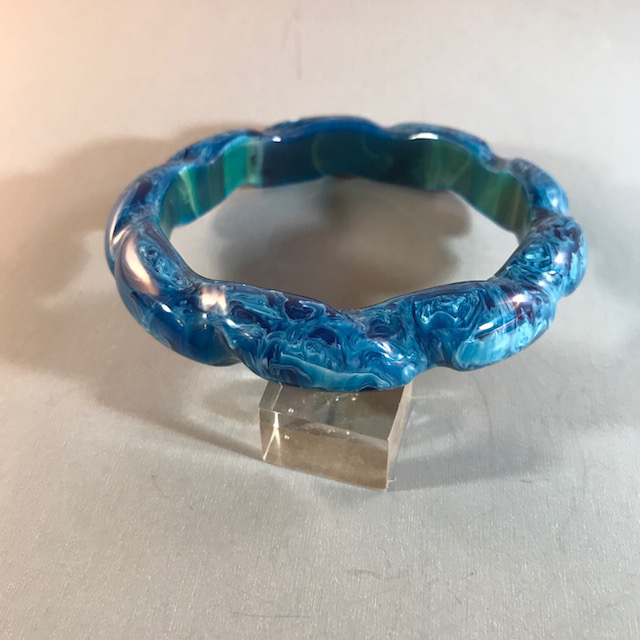 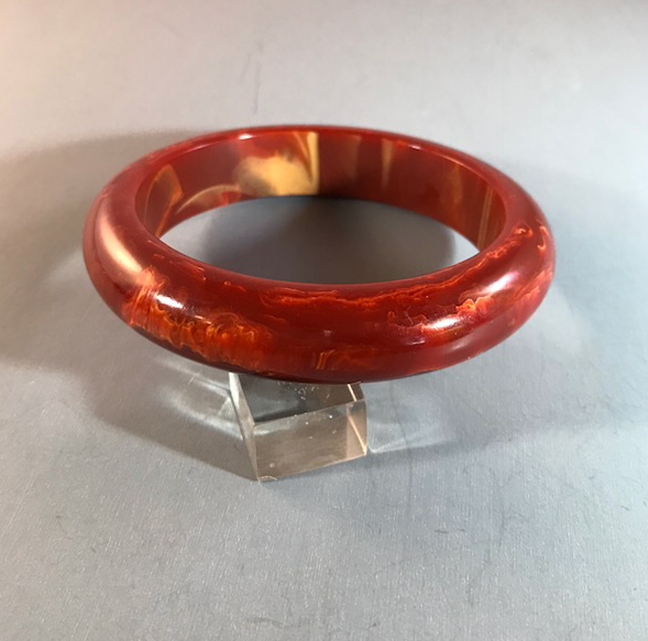 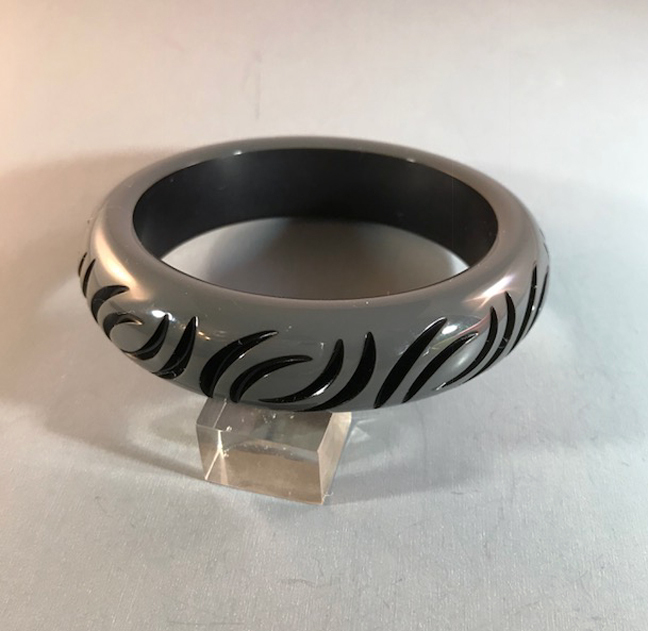 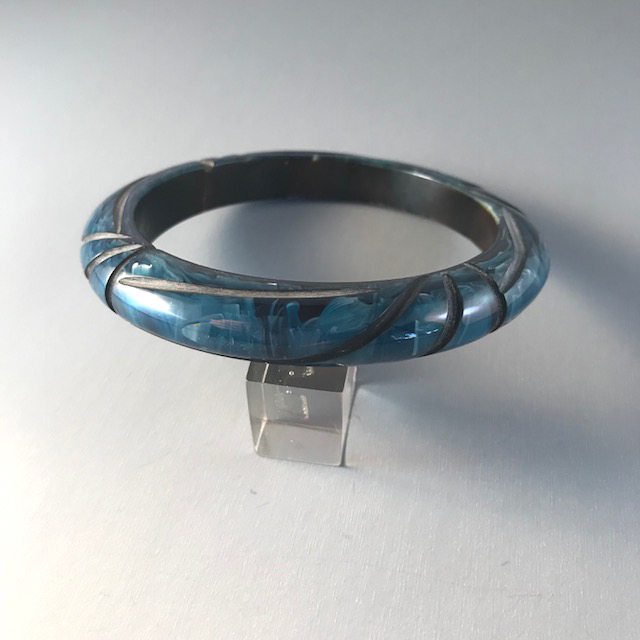 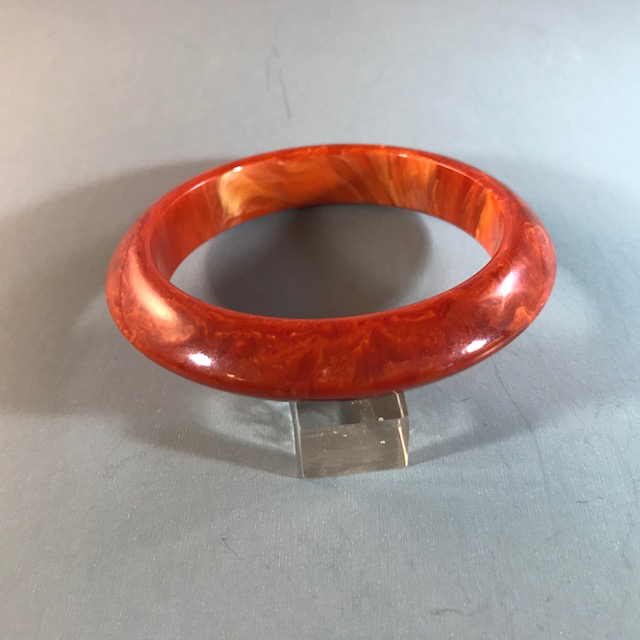 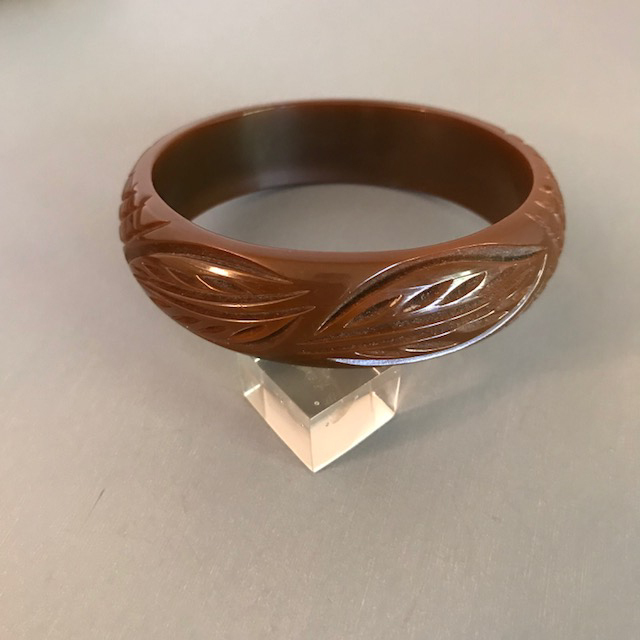 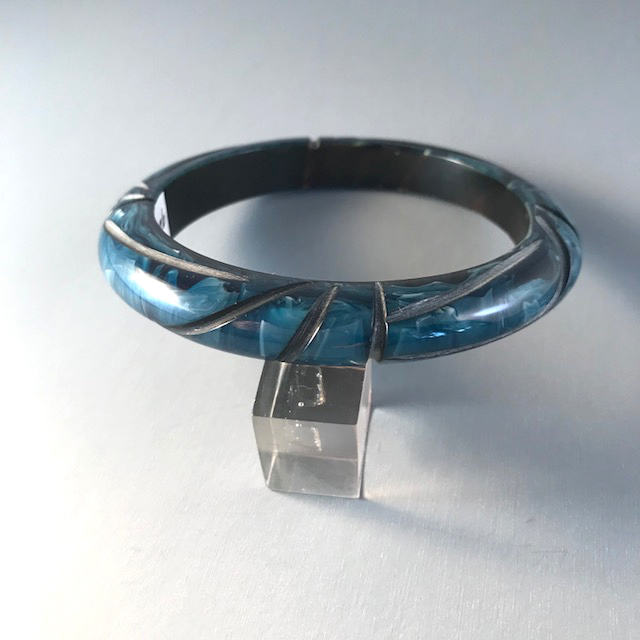 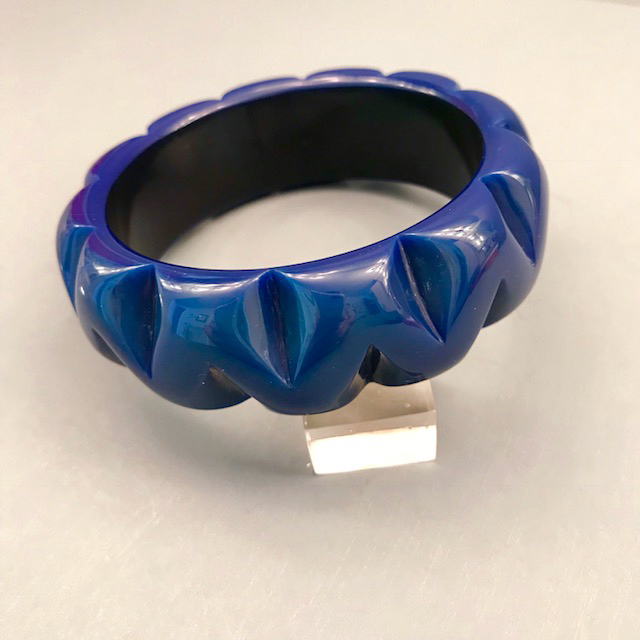 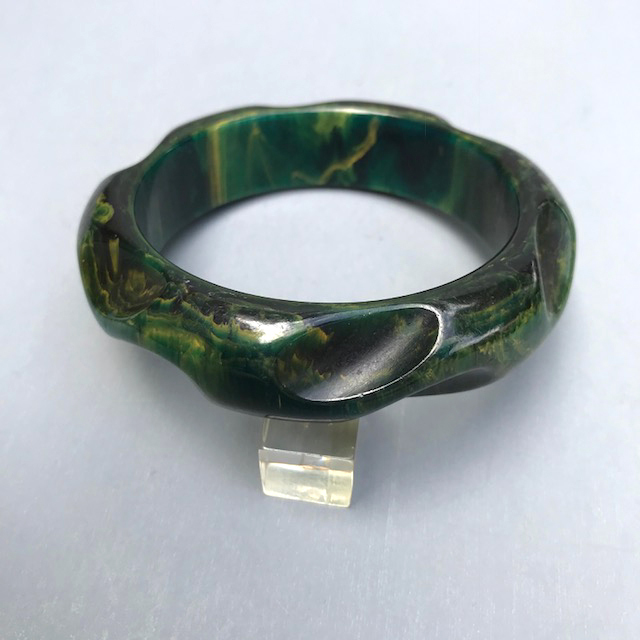 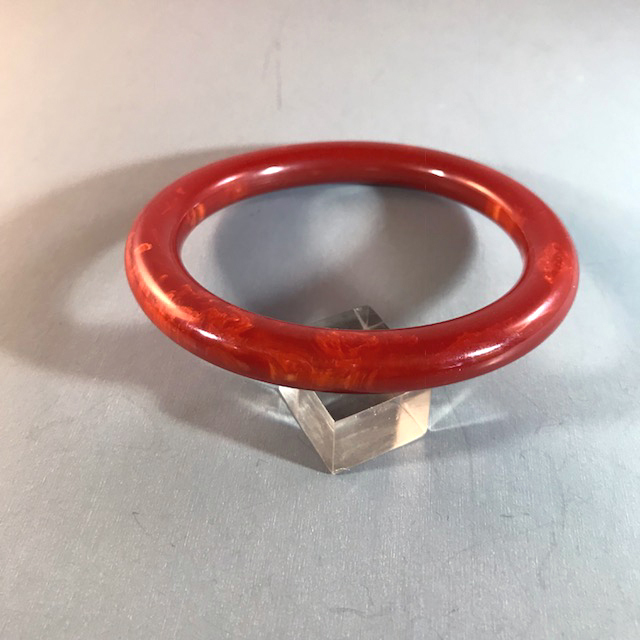 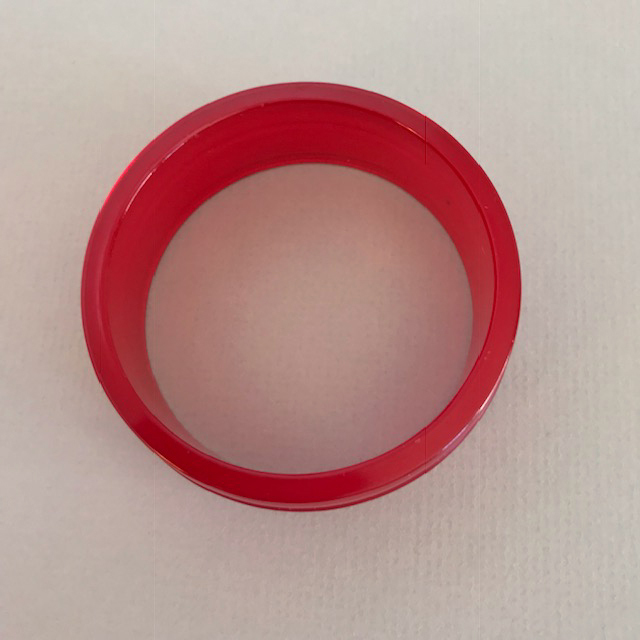 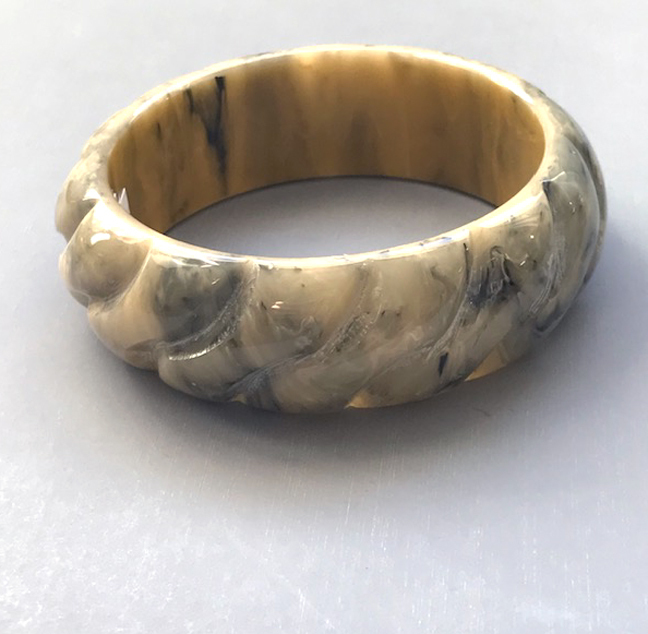 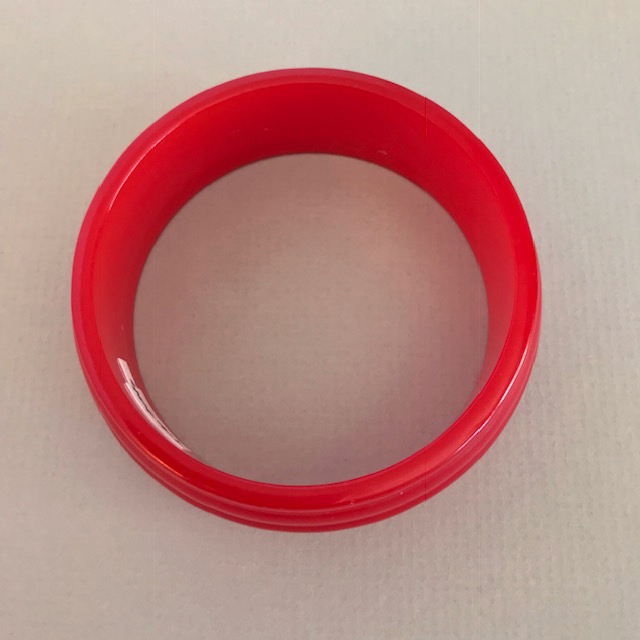 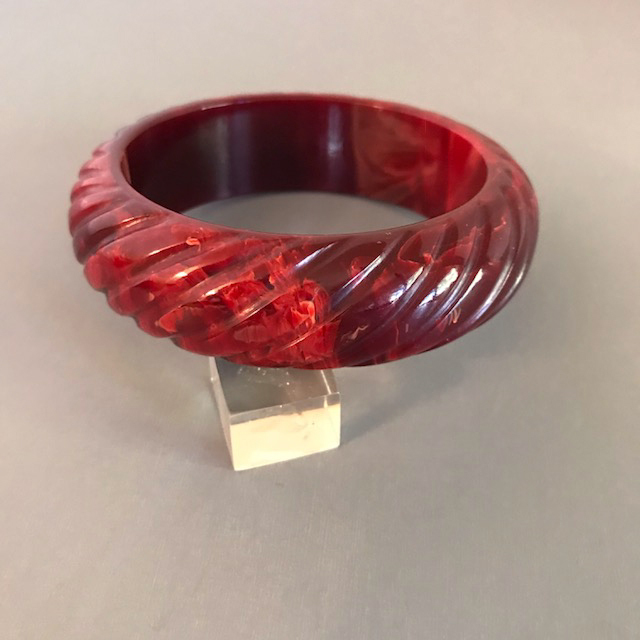 It can be difficult to tell what colors are underneath today's bakelite colors, but there can be some fun surprises when the polishing is done.